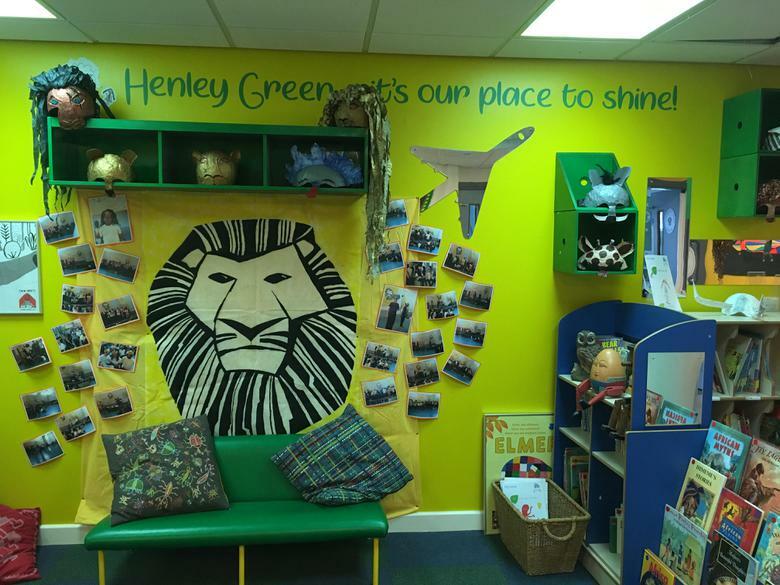 Henley Green ... it's our place to shine. 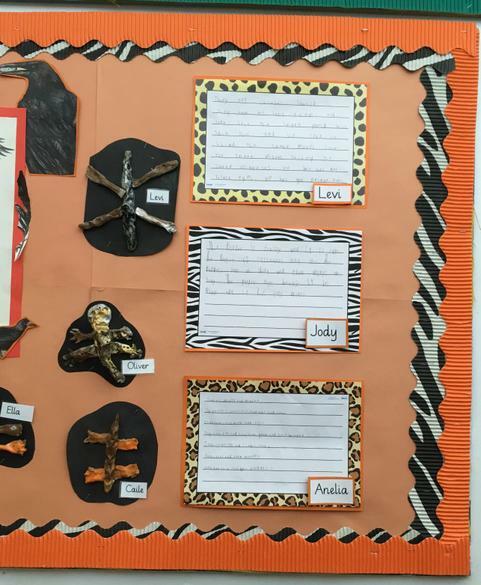 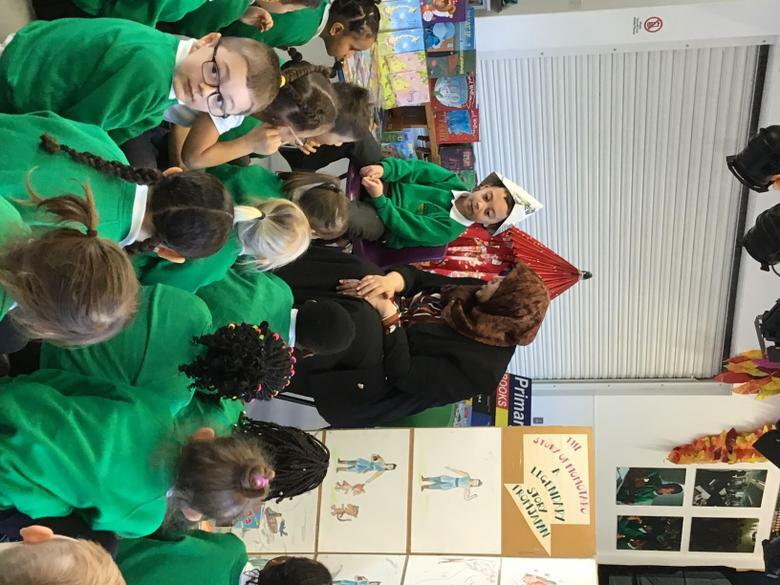 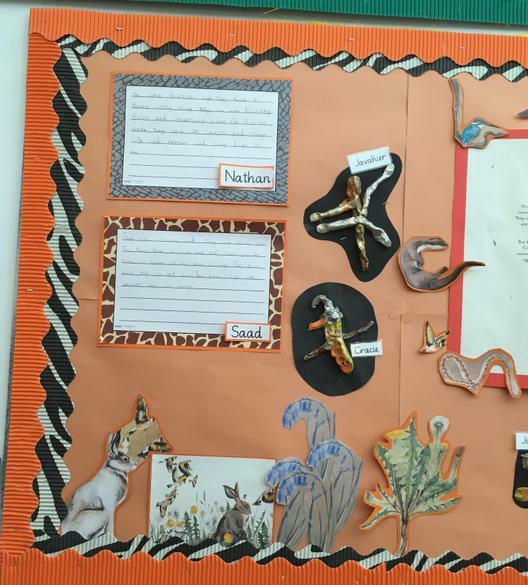 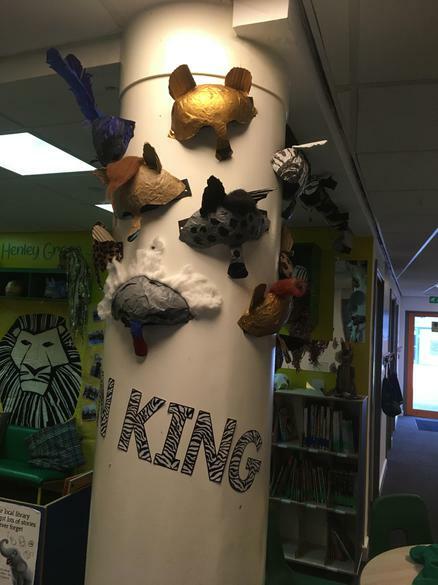 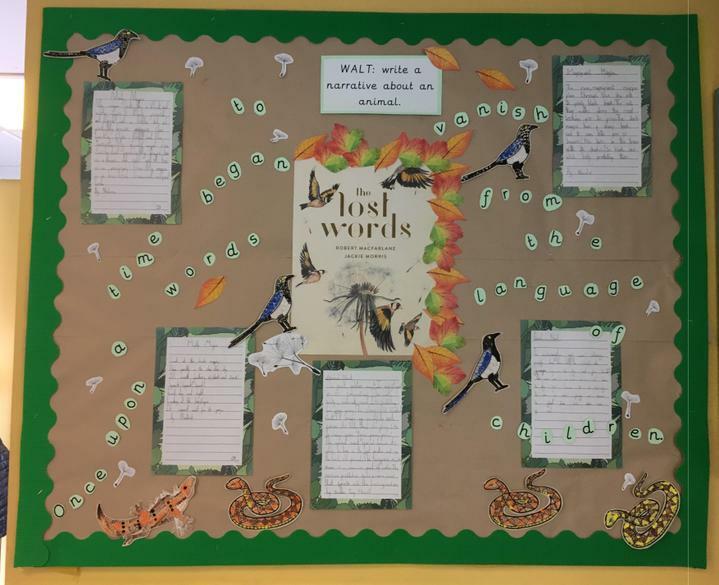 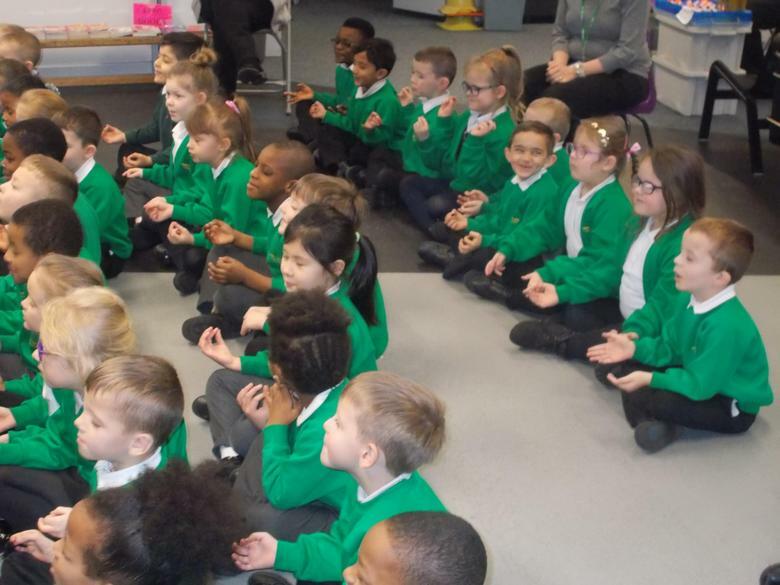 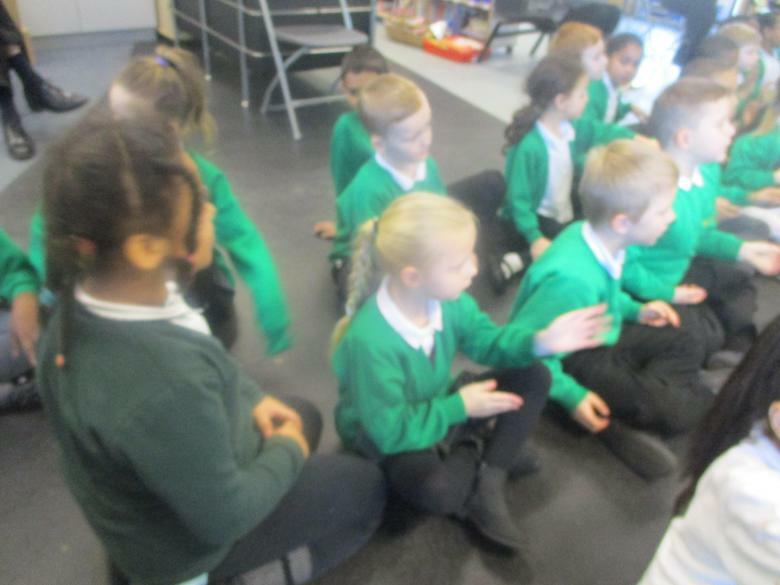 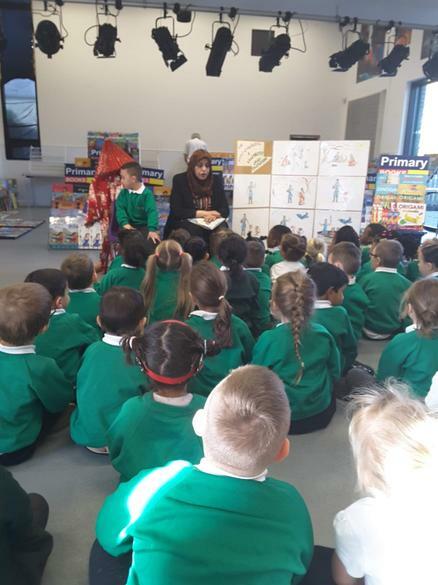 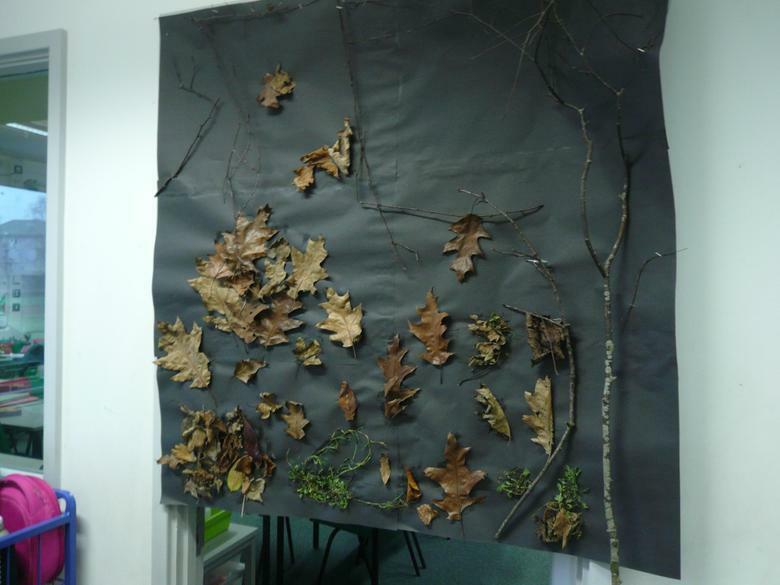 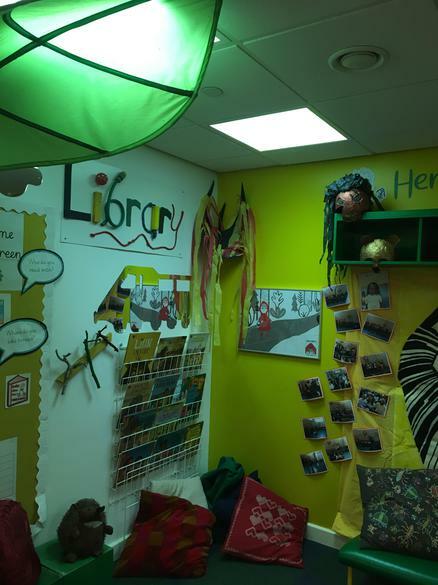 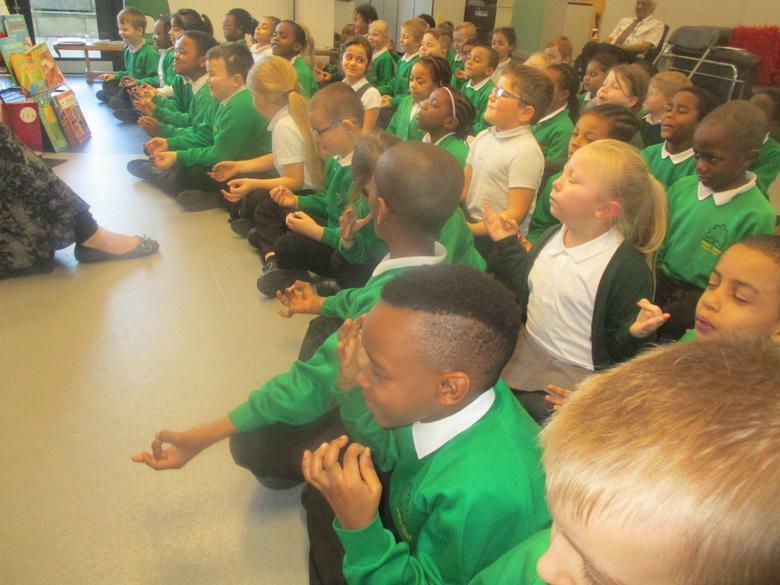 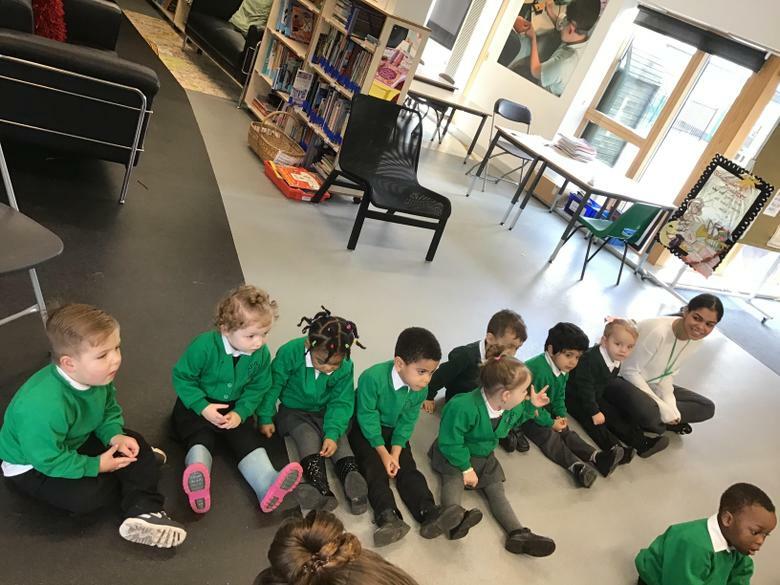 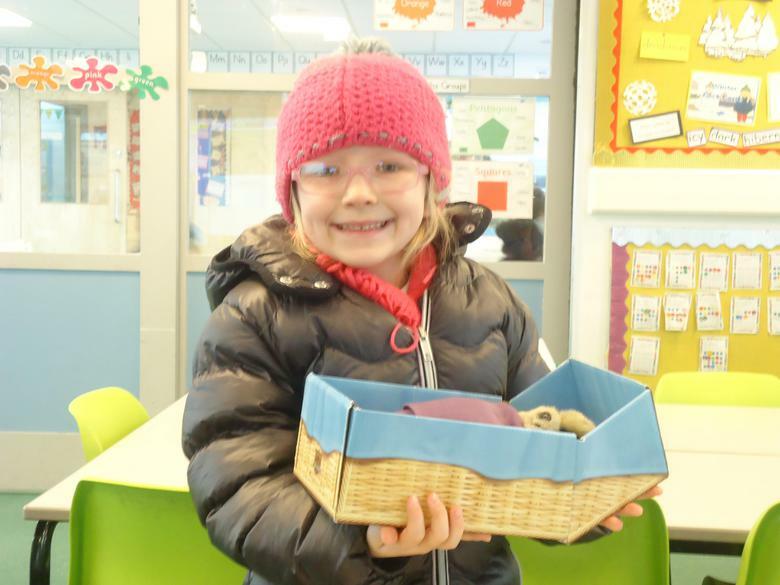 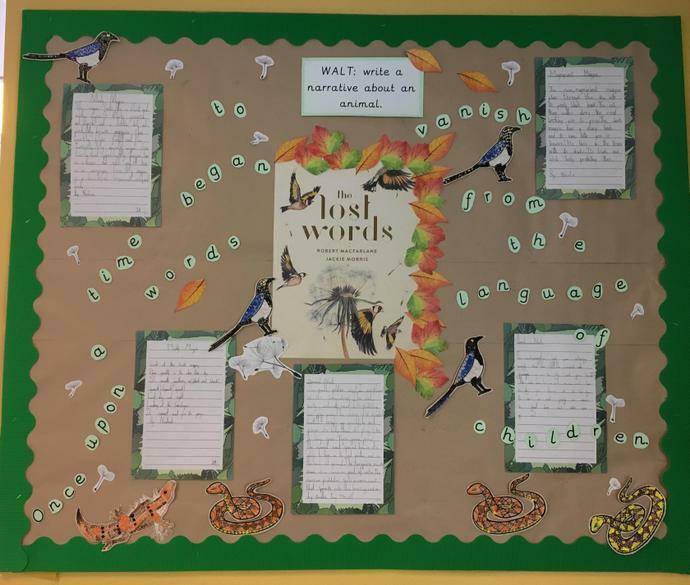 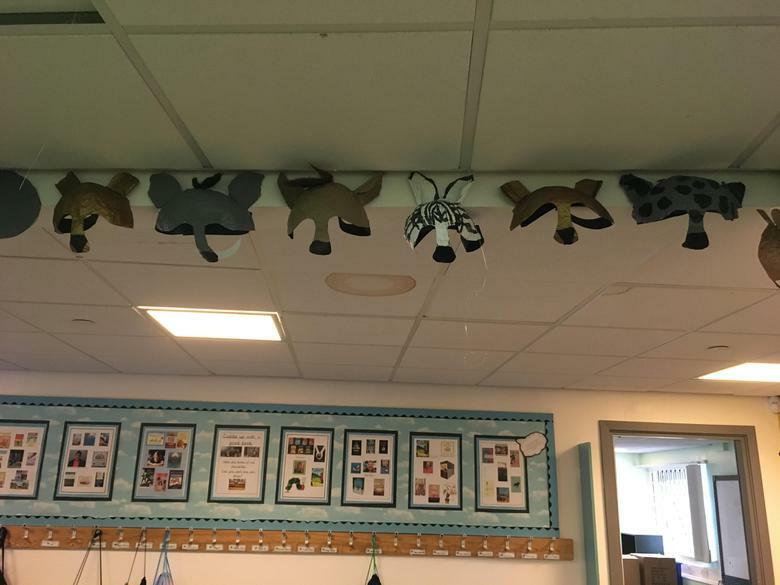 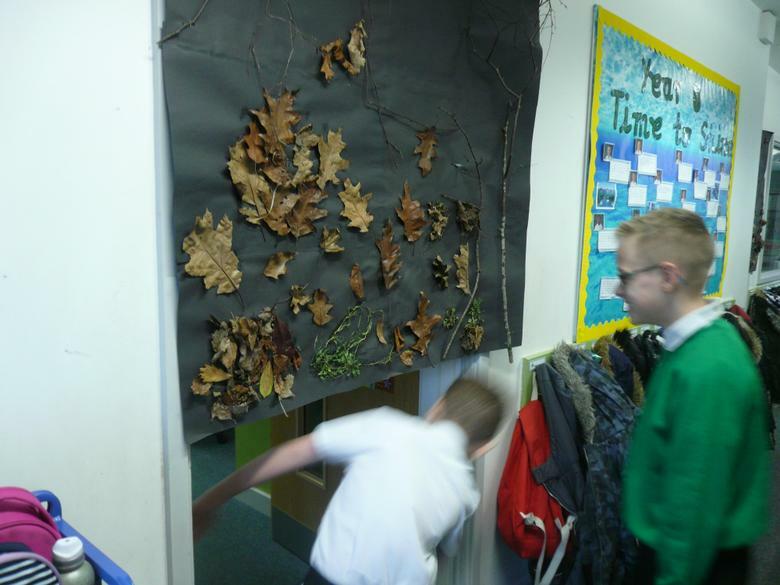 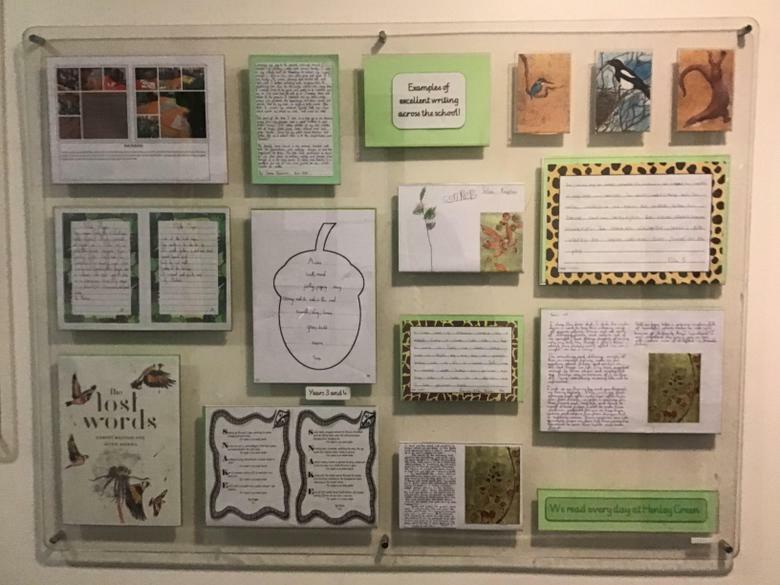 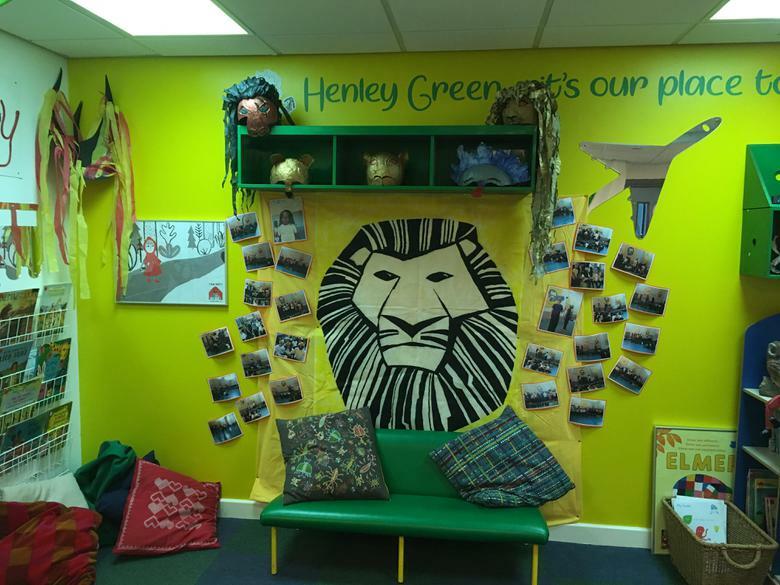 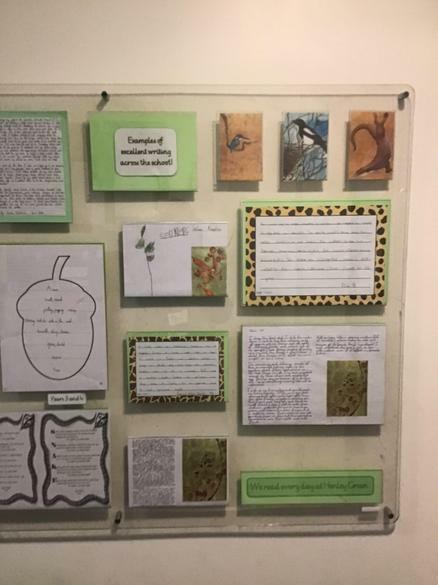 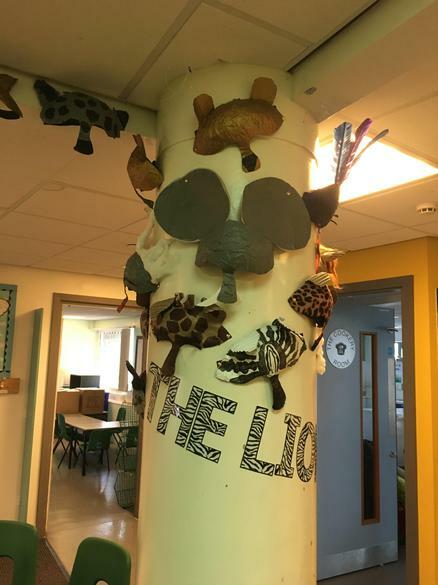 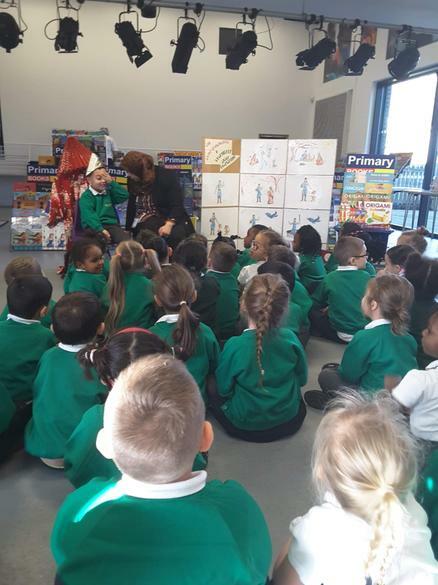 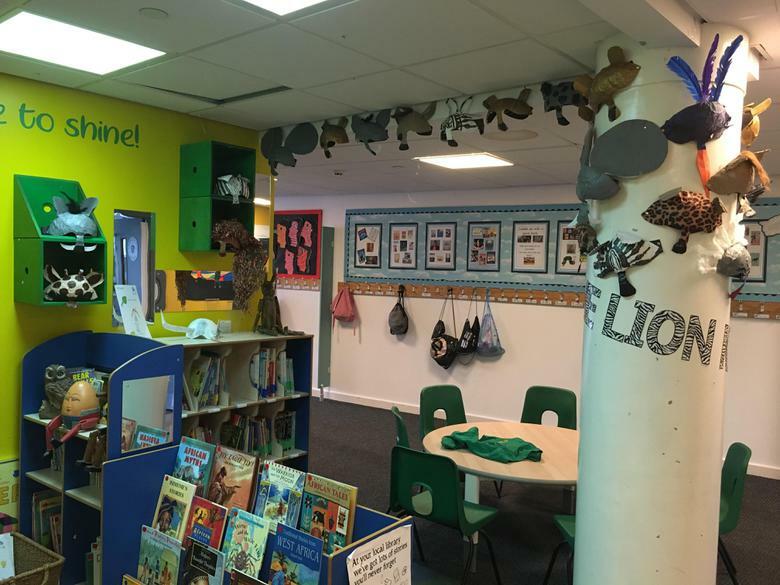 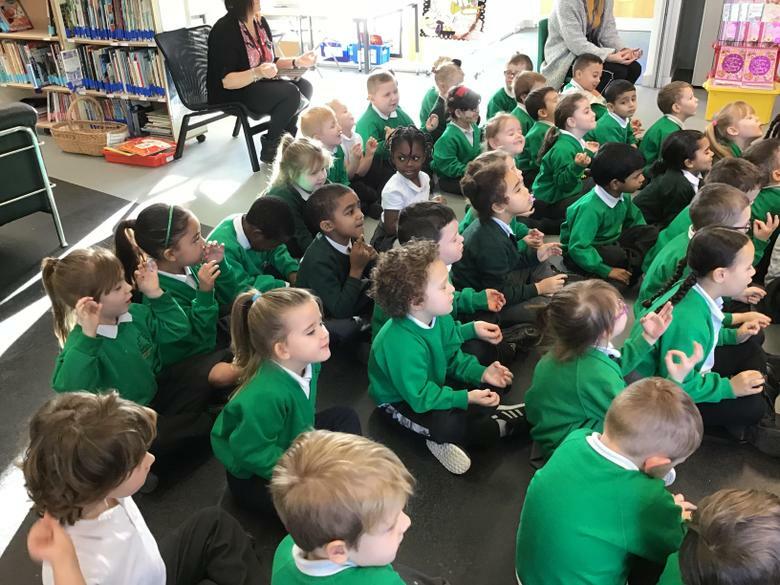 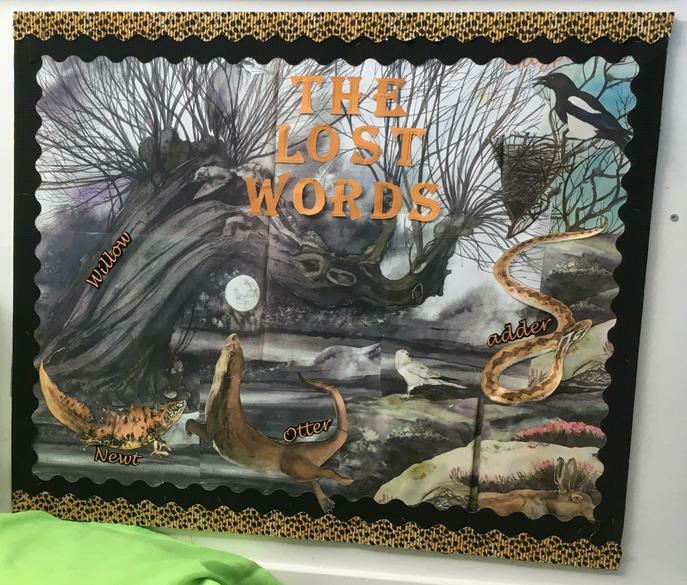 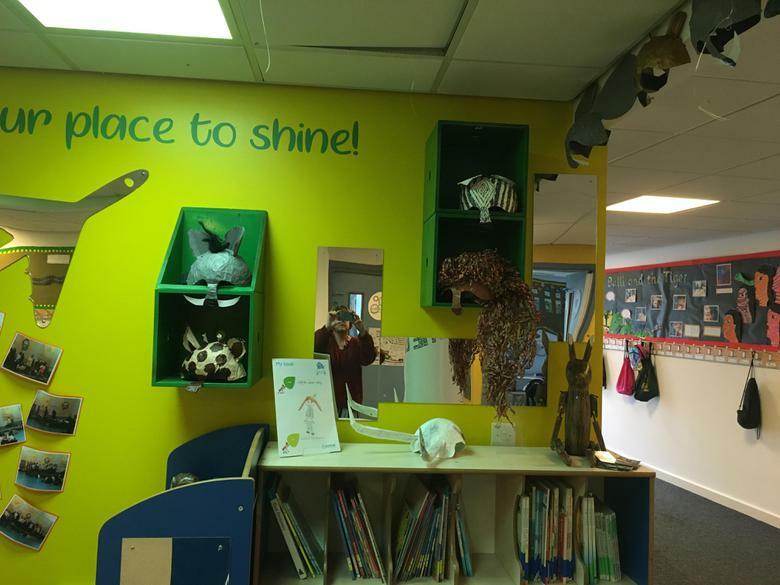 At Henley Green Primary School, children are taught using synthetic phonics as the main approach to reading through the Read Write Inc programme. 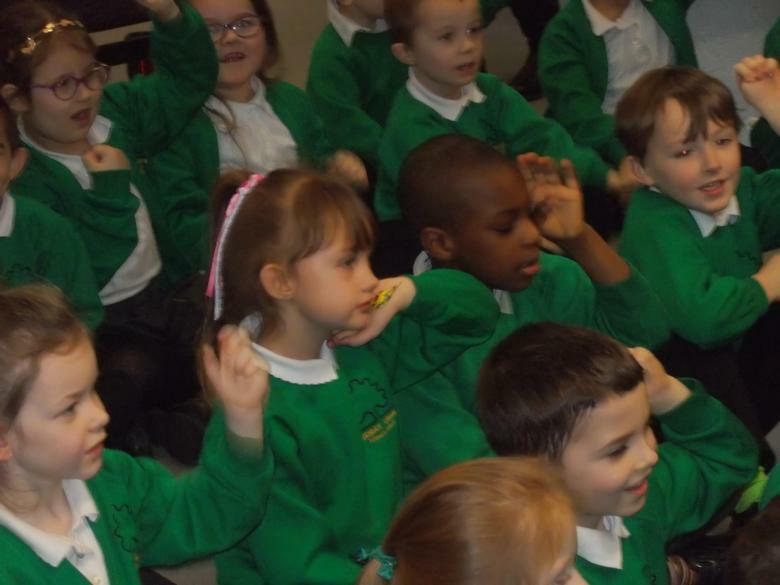 Pupils are systematically taught the phonemes (sounds), how to blend the sounds to read, and how to segment the sounds to write words. 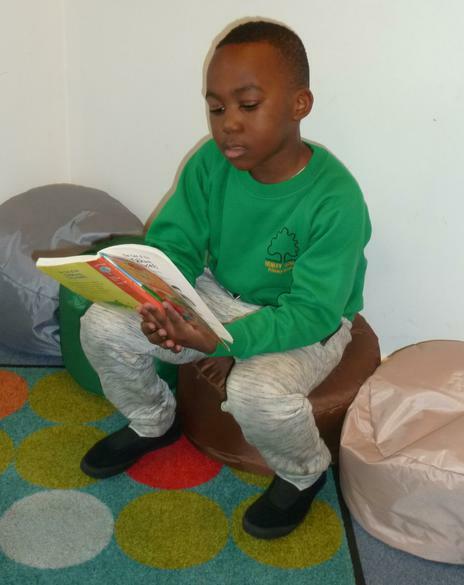 They are taught to use their phonic skills and knowledge as their first approach to reading, but are also taught high frequency words which do not completely follow the phonic rules. 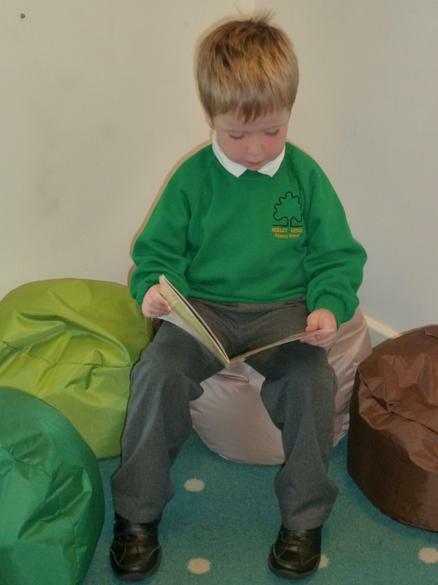 We use the Oxford Reading Tree scheme for home reading books, which are all colour banded according the level at which your child is reading. 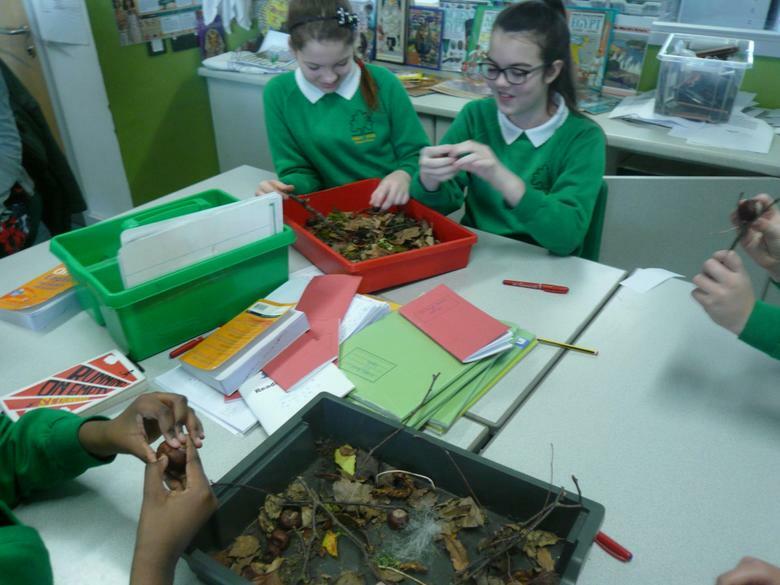 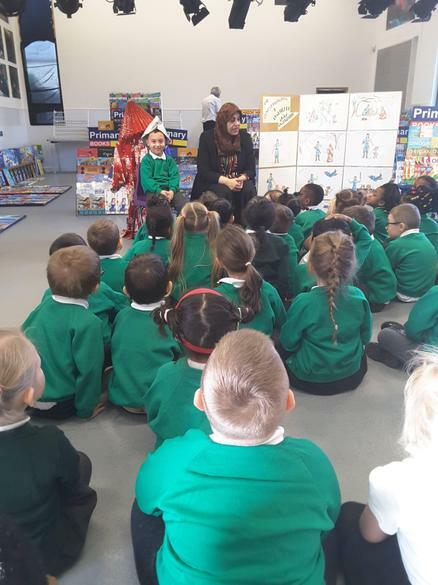 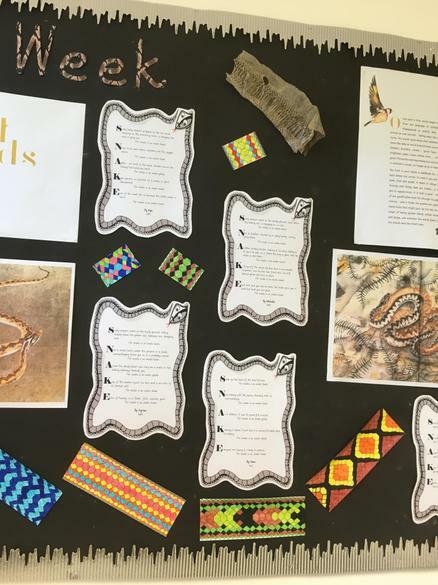 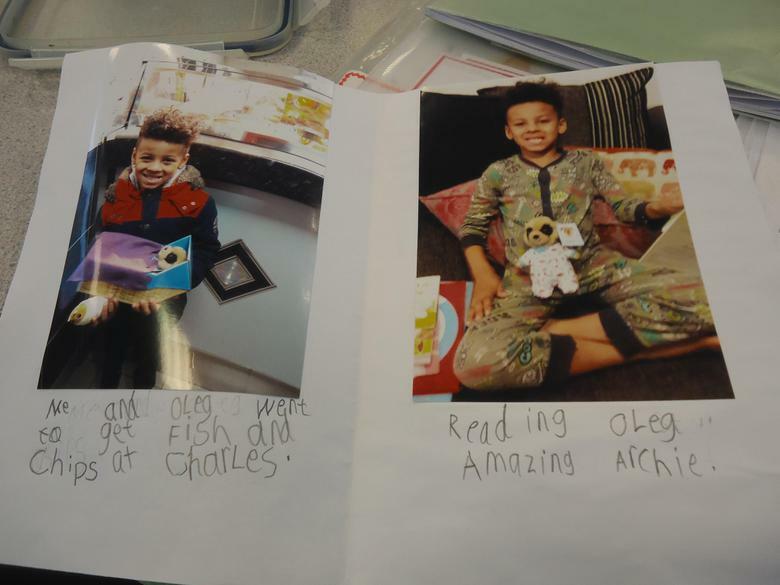 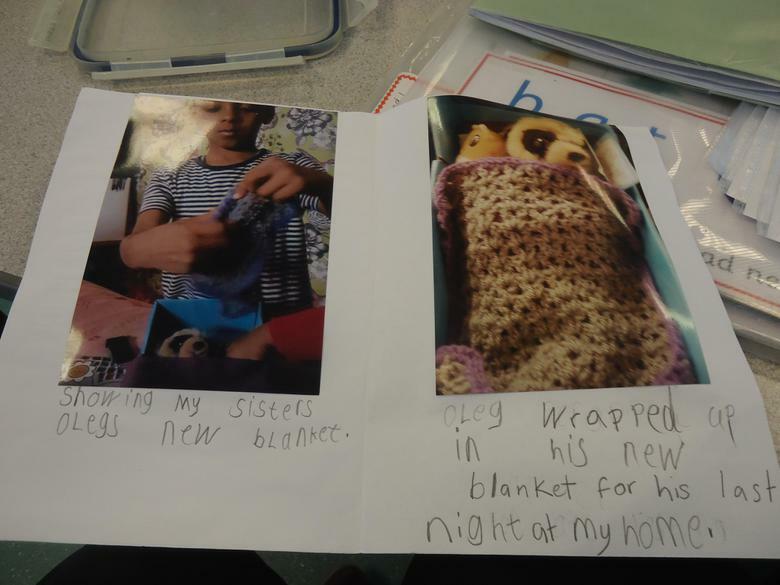 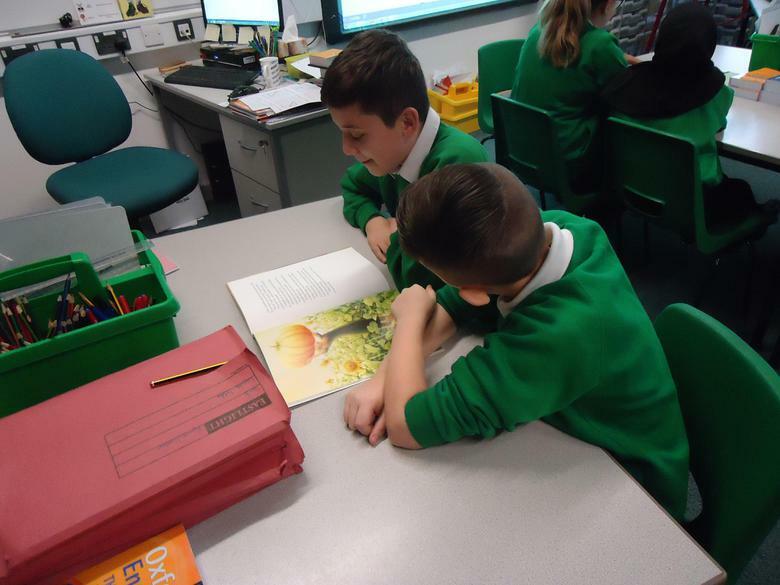 In addition, children take part in regular guided reading sessions in class using real books and books from range of reputable reading schemes. 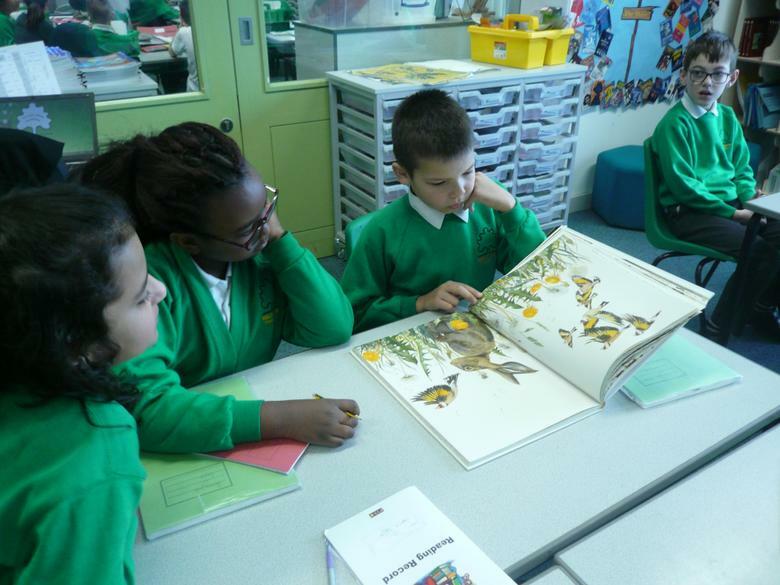 Home and guided reading books include a wide range of stories, text types and illustrations. 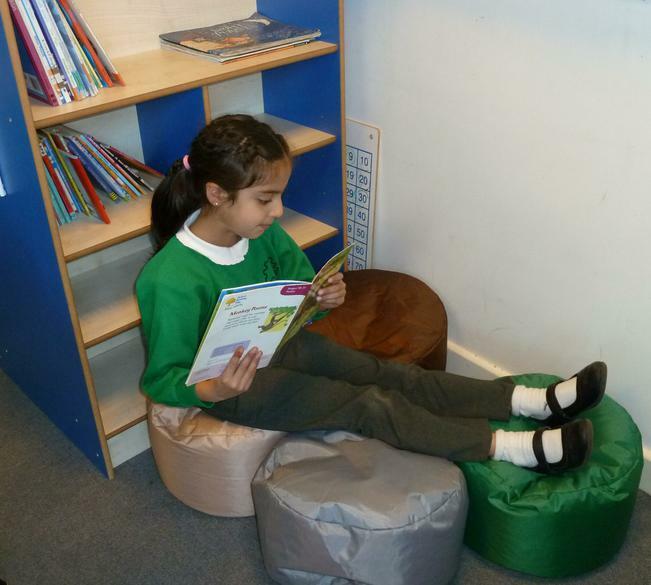 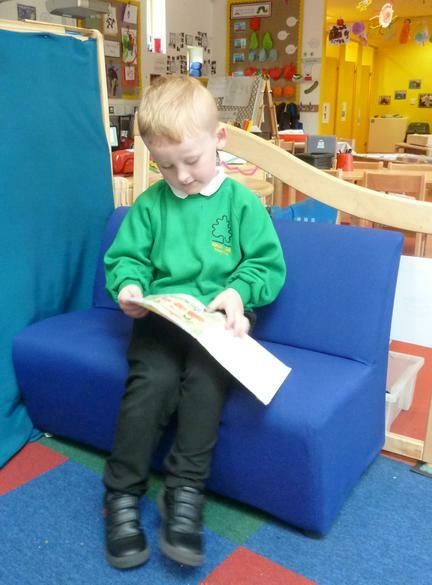 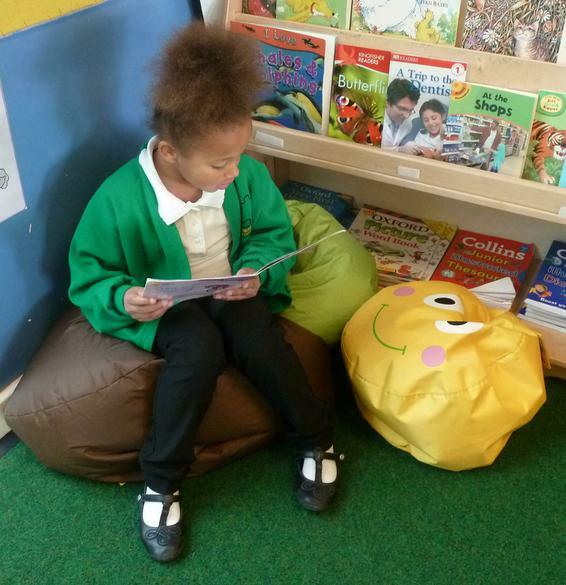 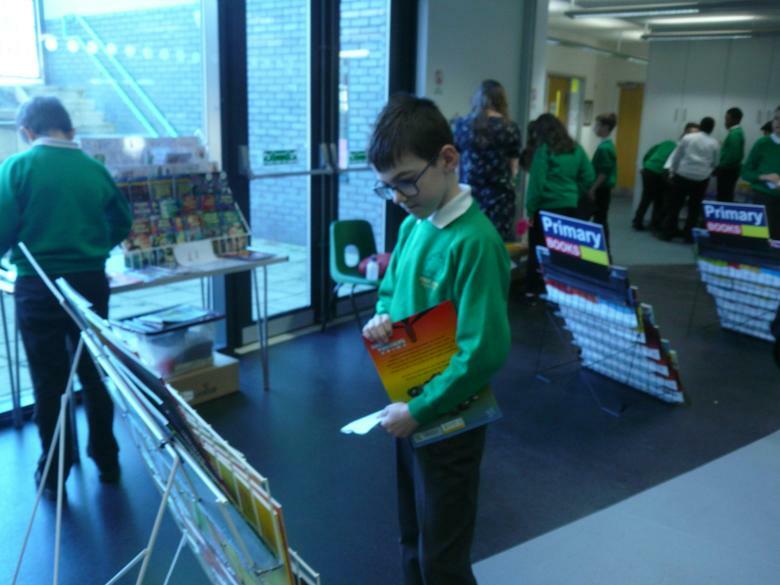 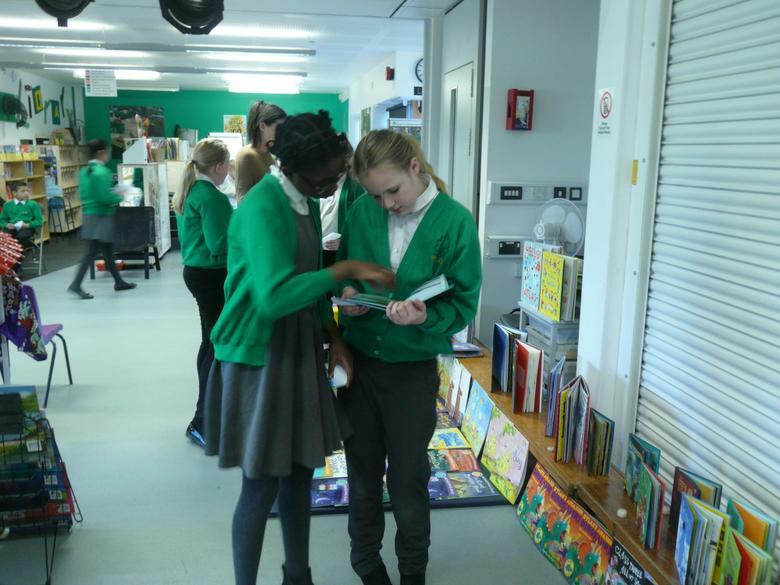 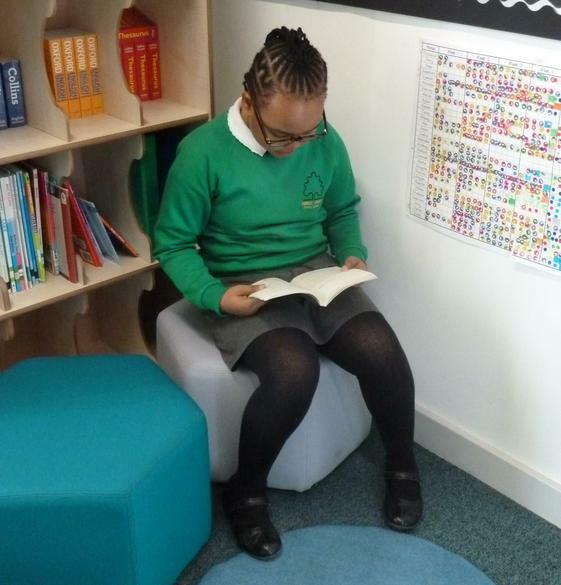 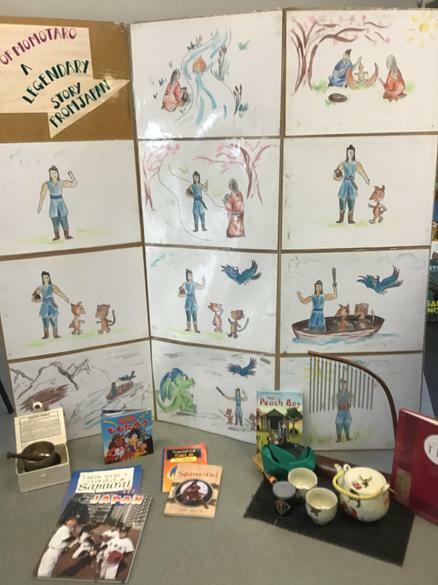 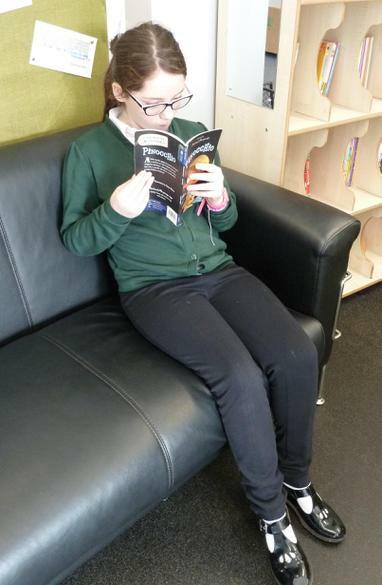 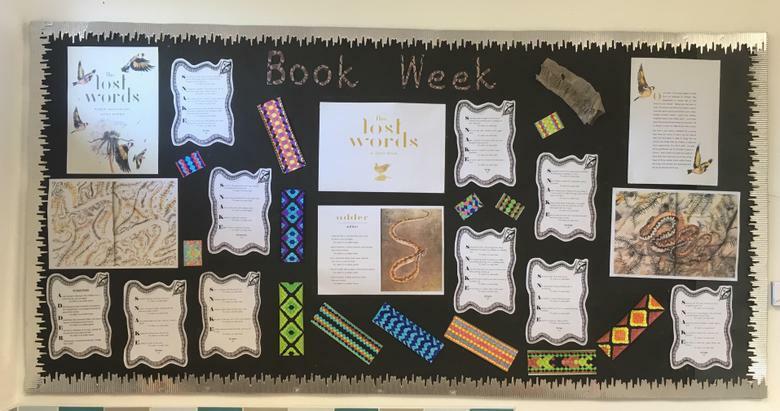 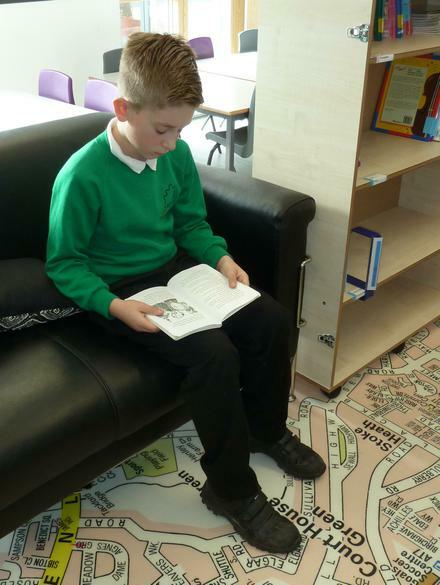 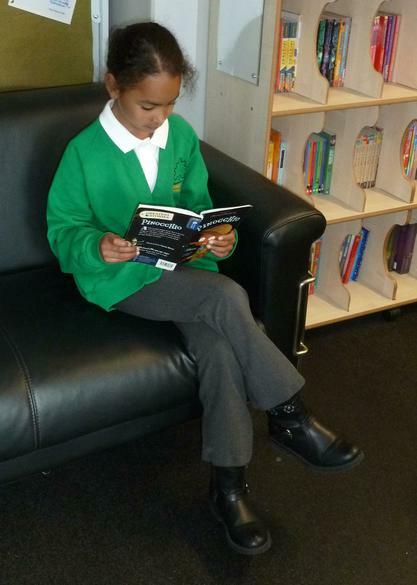 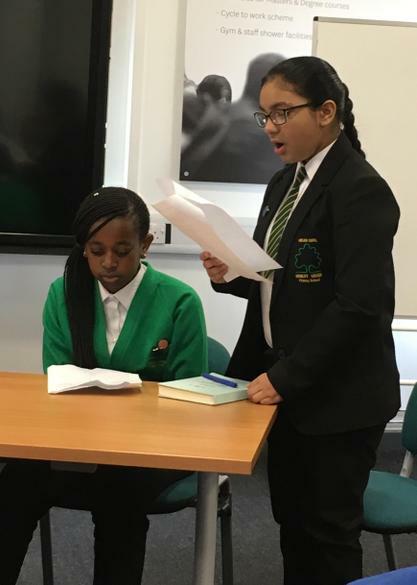 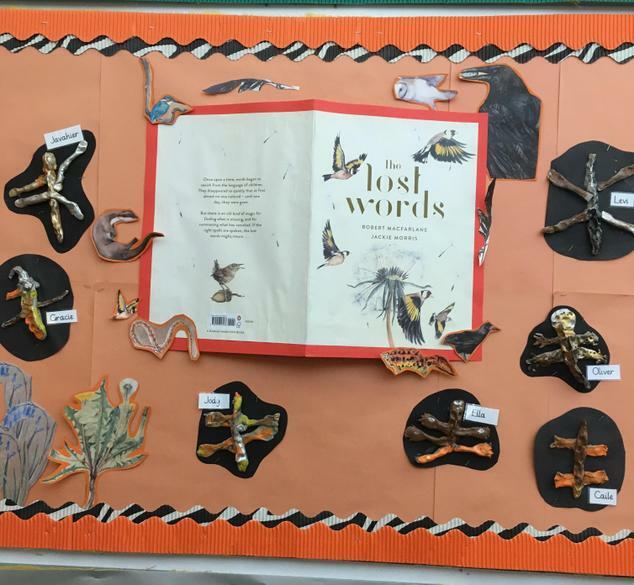 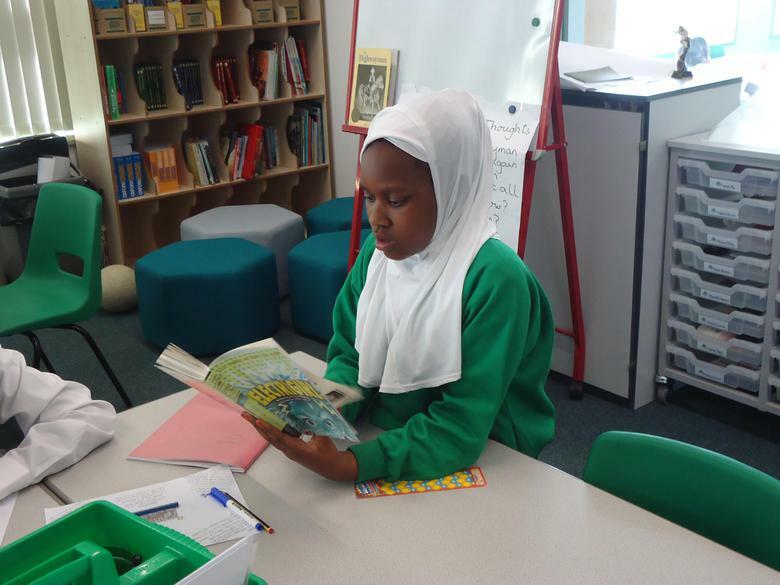 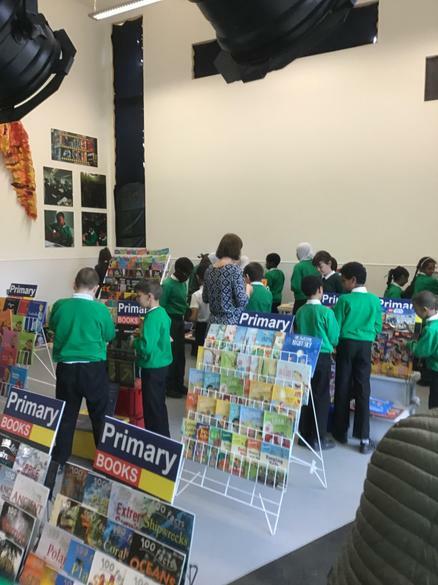 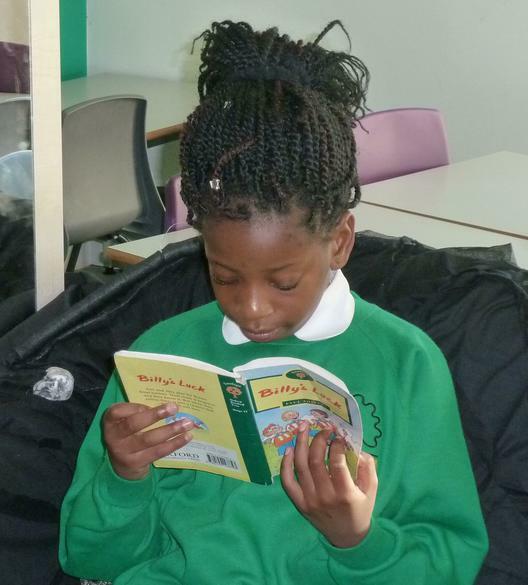 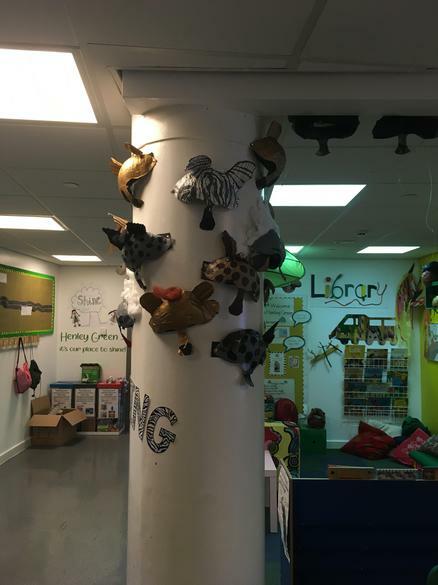 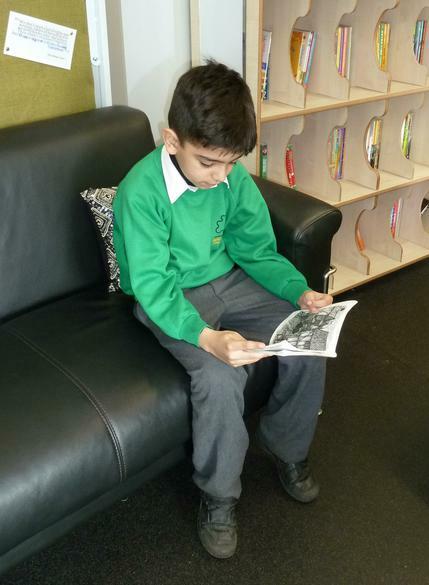 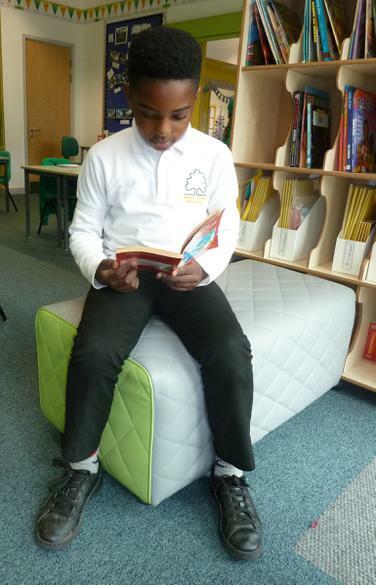 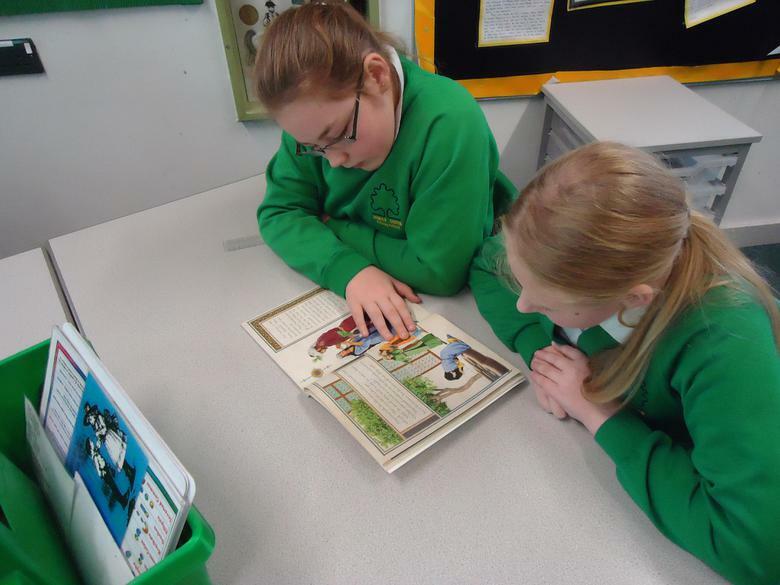 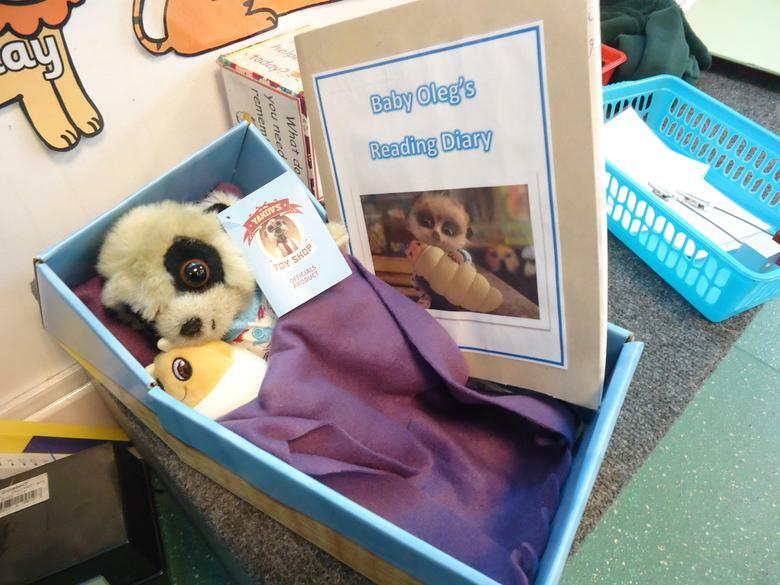 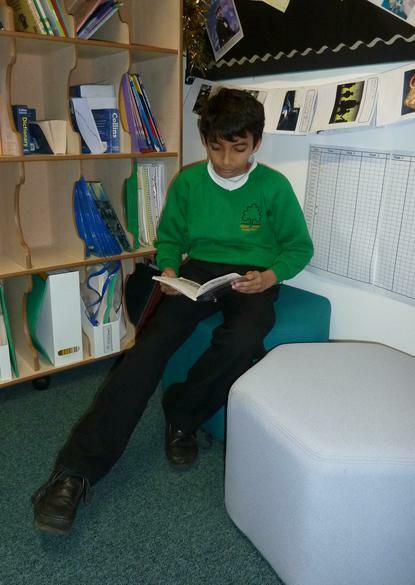 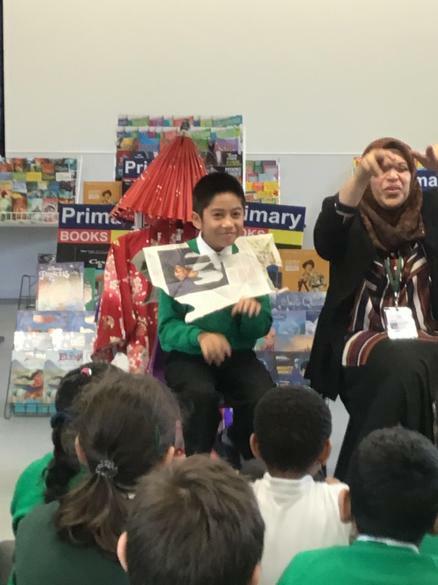 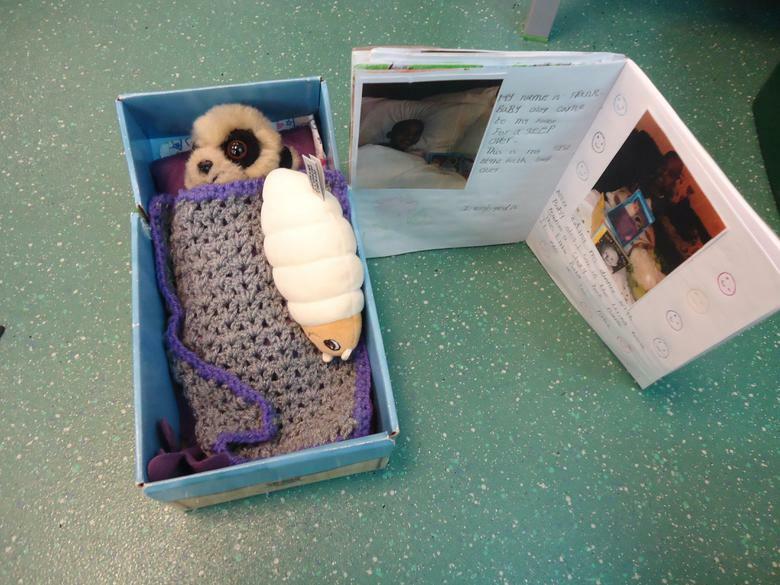 As well as sharing high quality texts in class, the children are also encouraged to develop a love of reading by choosing books from our Book Corners and joining the local library. 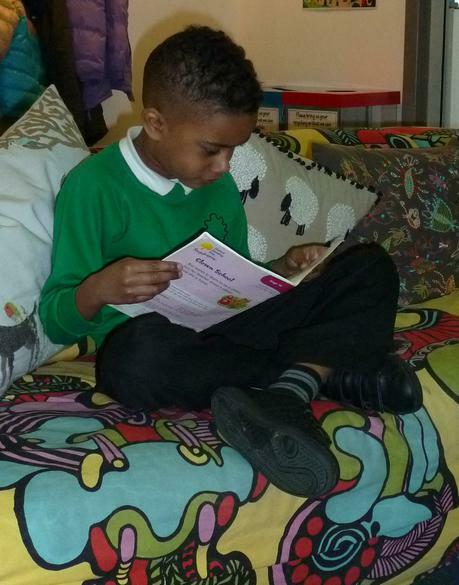 Within the Early Years Foundation Stage and Key Stage 1, most children are taught English through the Read Write Inc programme. 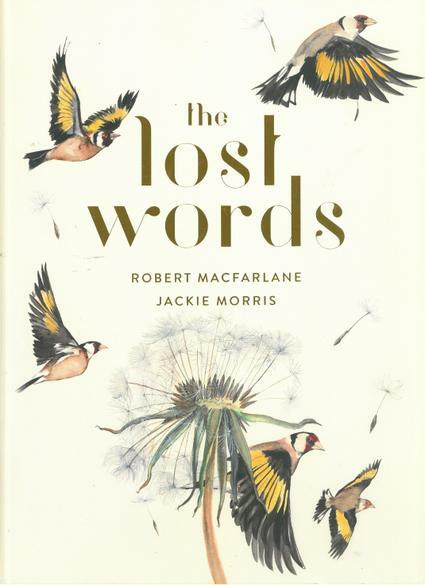 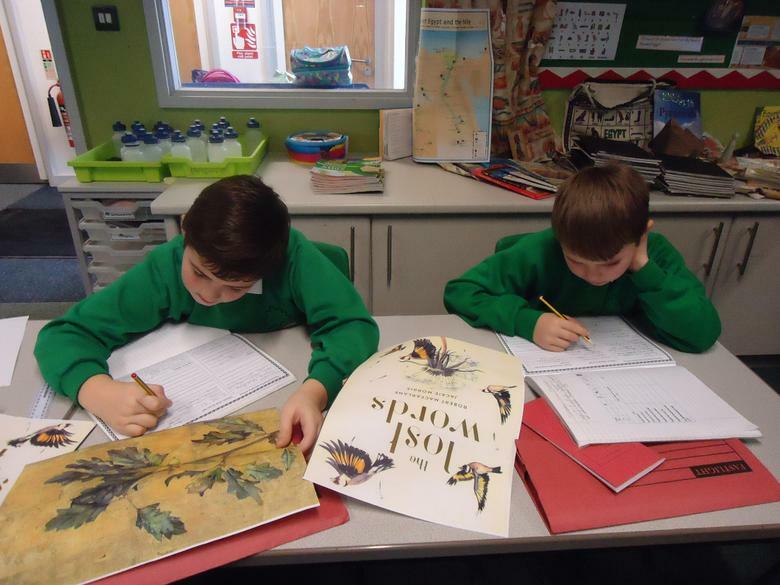 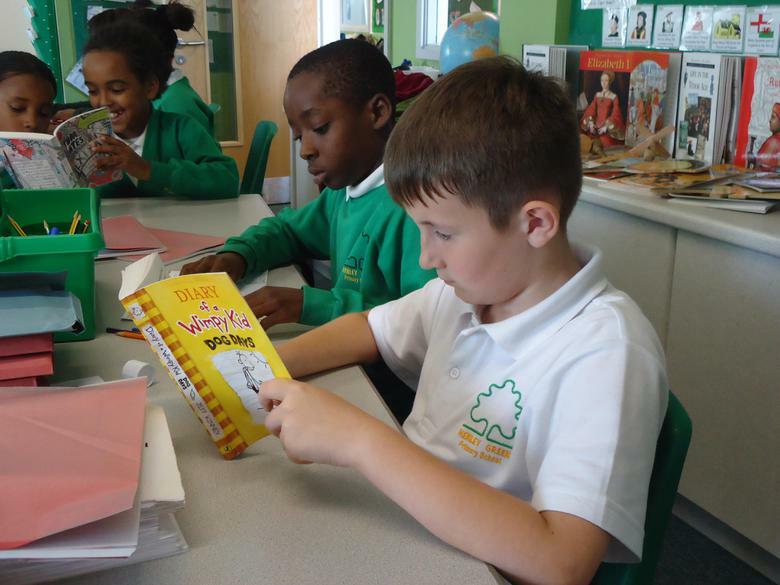 In Years 2 and 6, once children have mastered their phonic skills and are reading independently, they take part in a daily English lesson based on the Renewed Framework, which ensures all children develop their reading and writing skills across a broad and stimulating range of genres, both fiction and non-fiction. 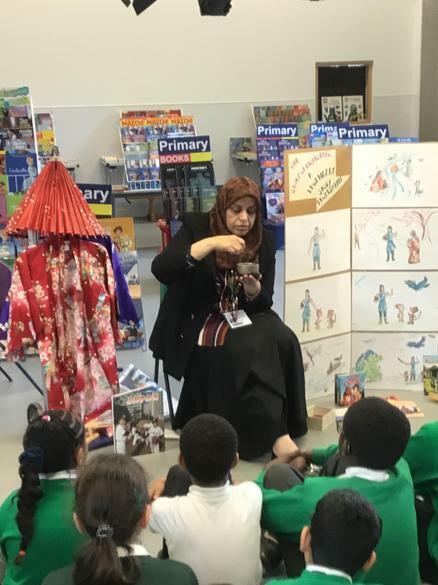 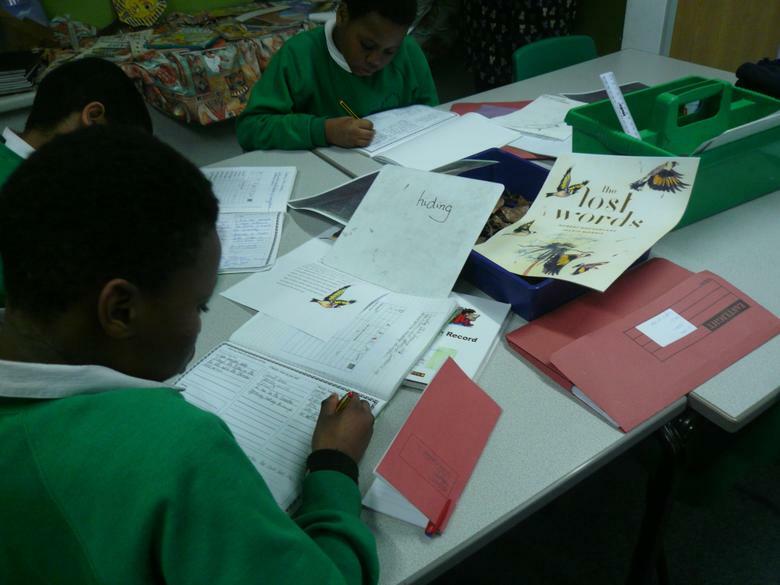 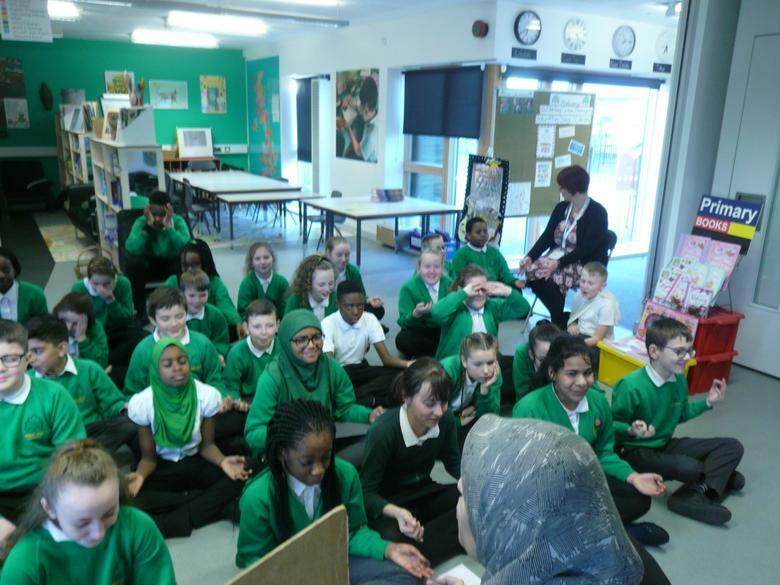 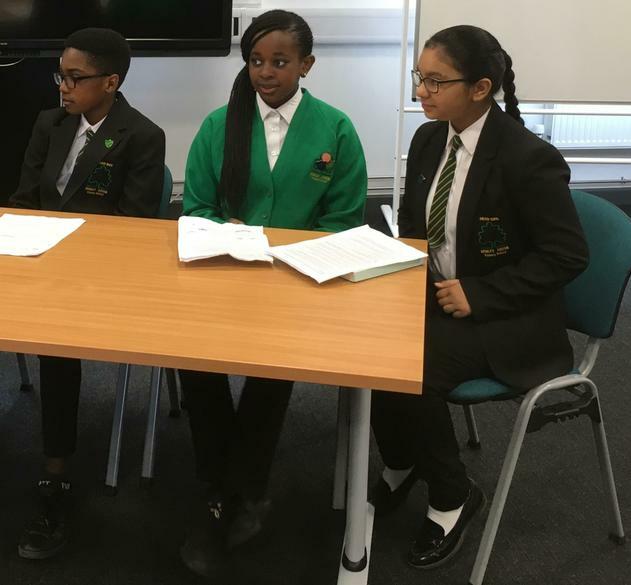 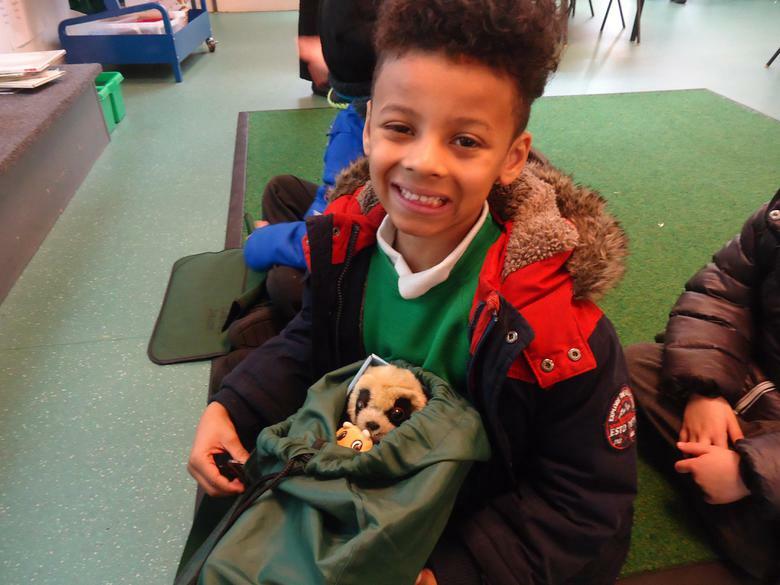 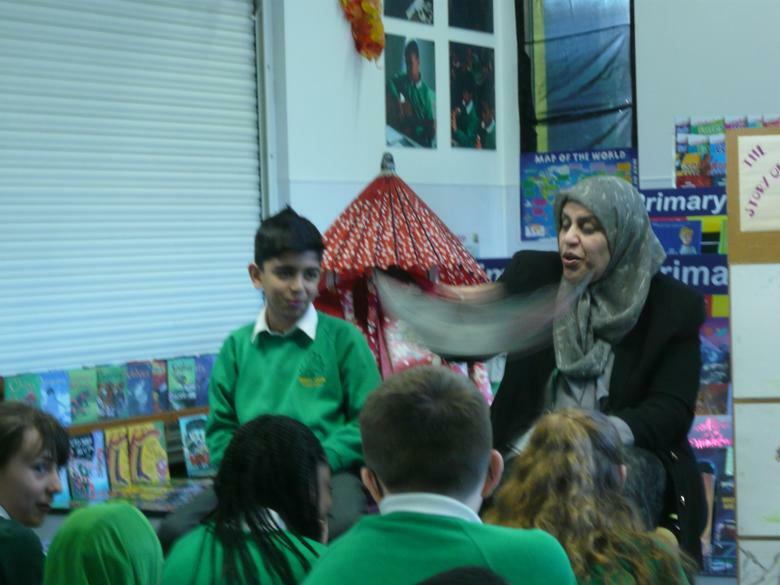 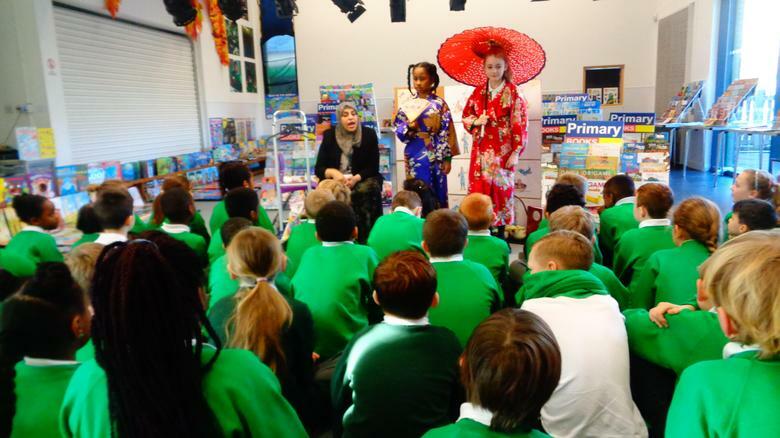 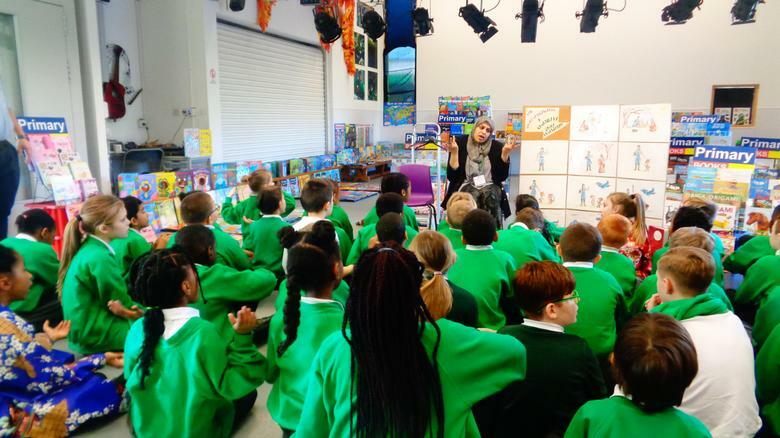 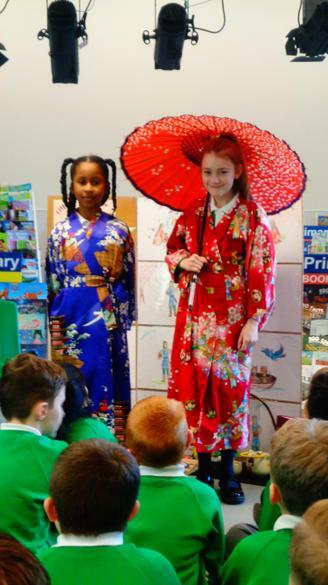 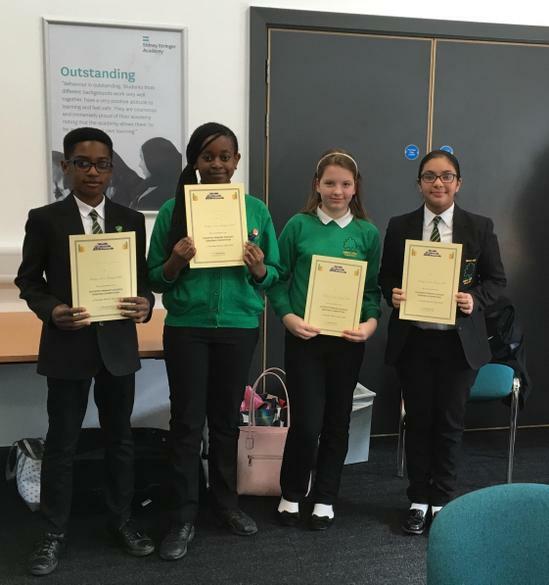 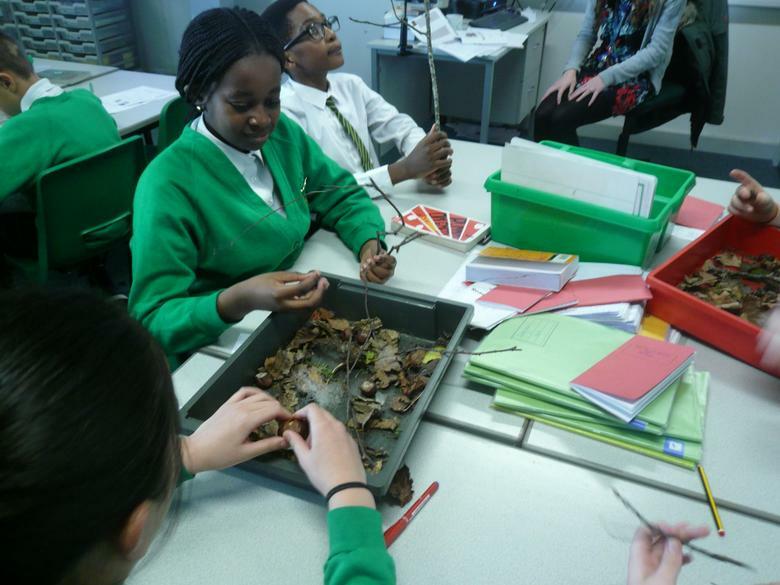 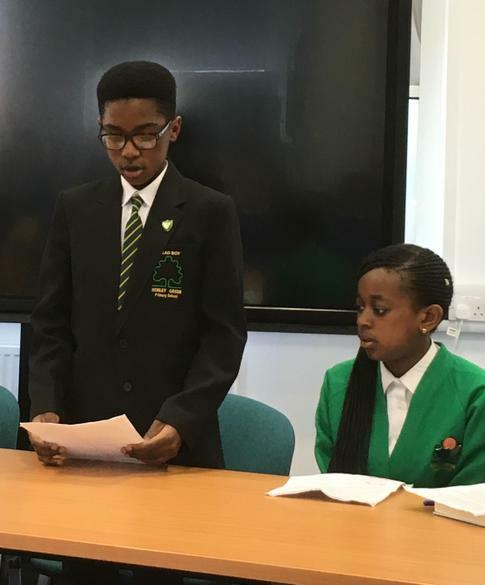 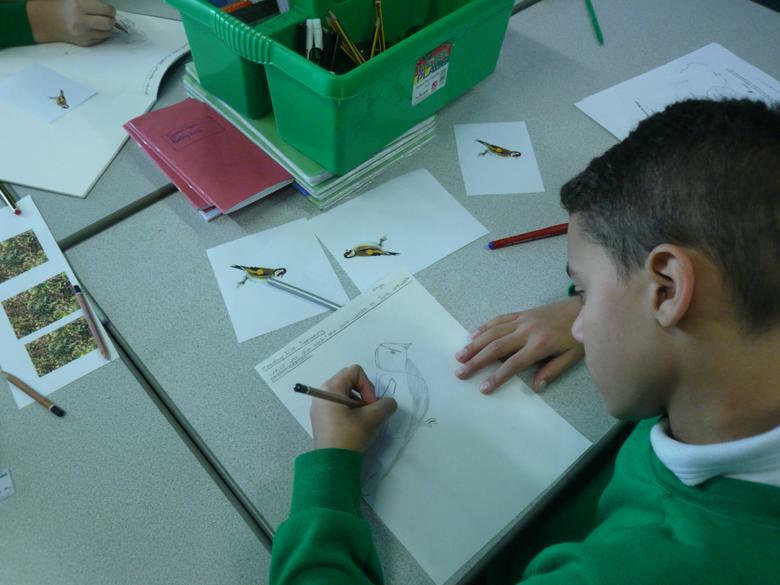 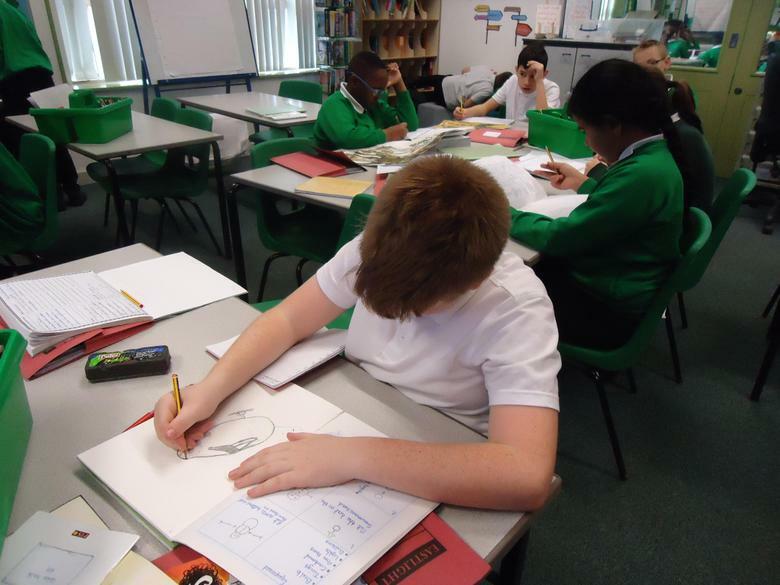 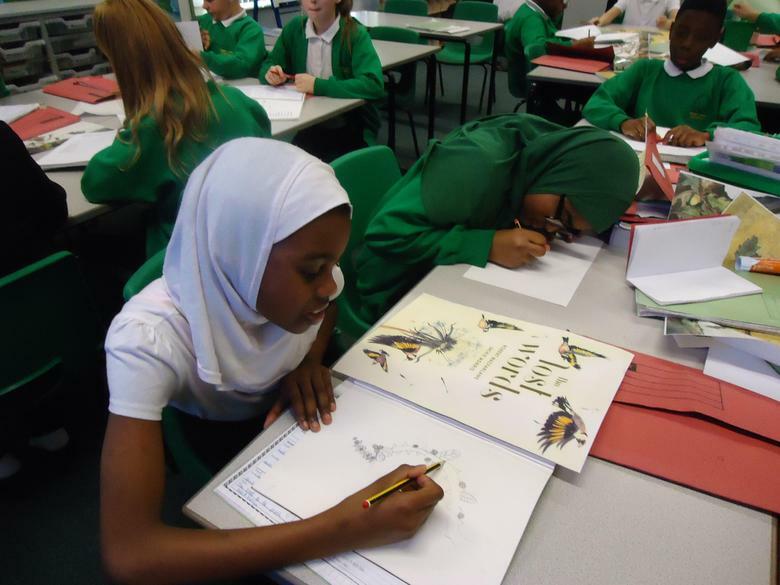 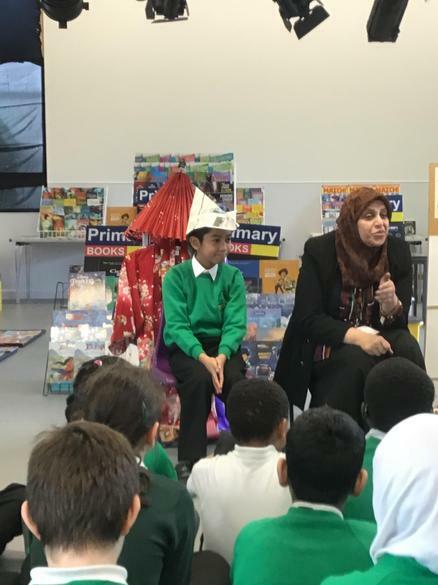 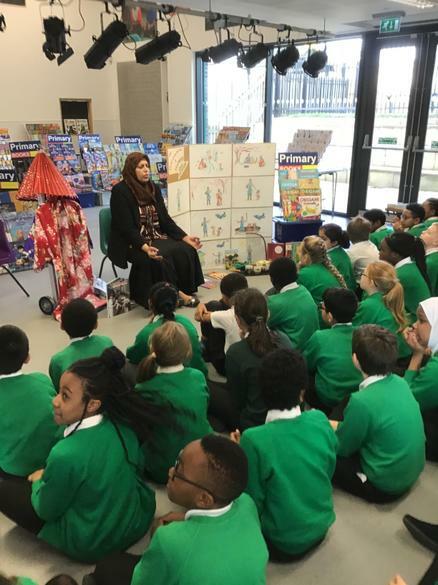 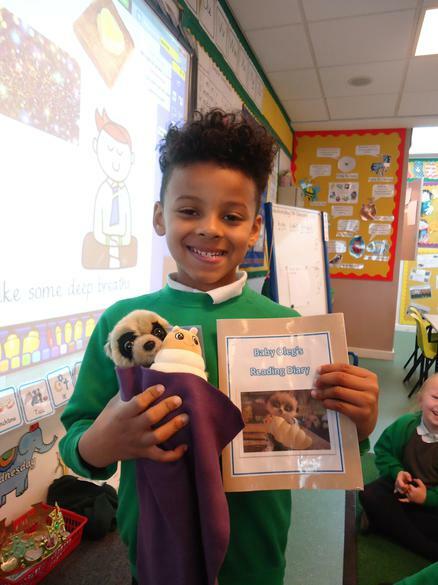 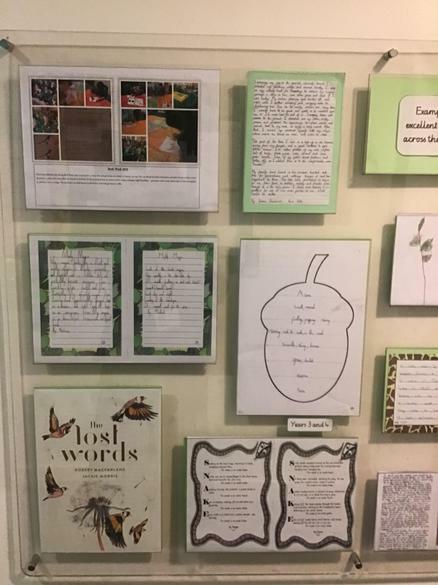 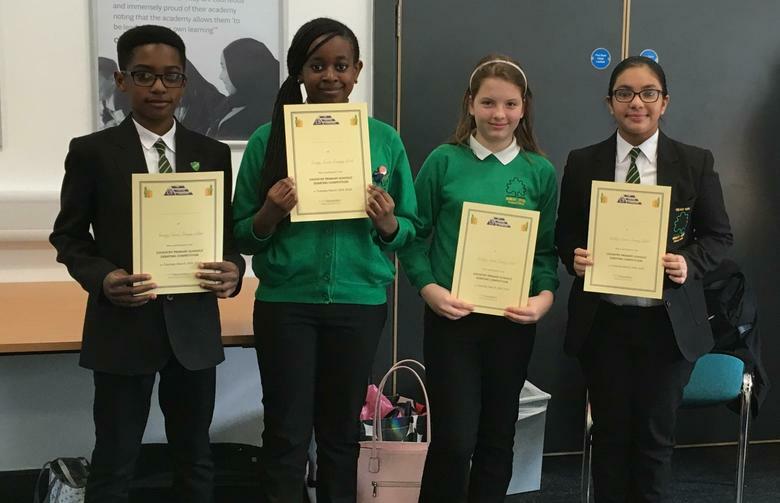 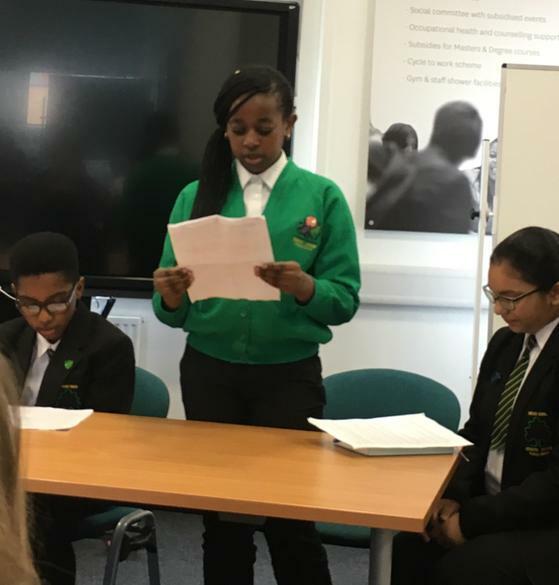 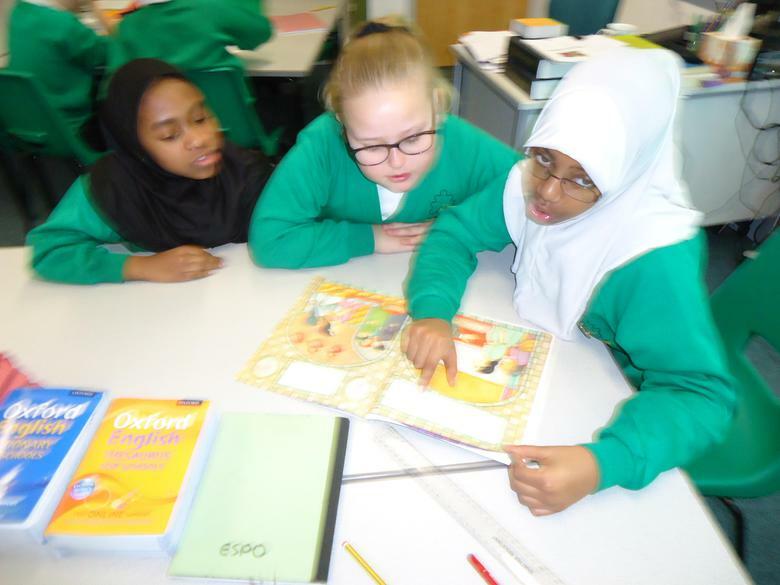 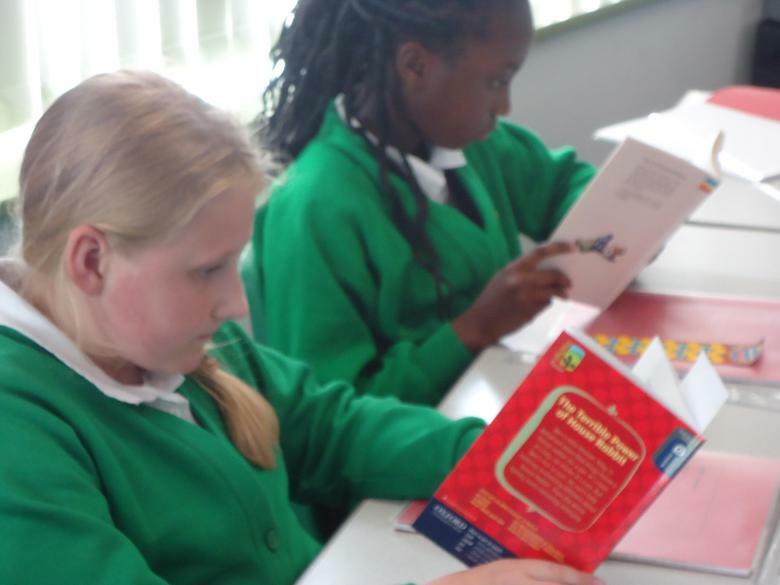 Children in Years 3, 4 and 5, who have completed the Read Write Inc programme, take part in daily English lessons based on the new National Curriculum. 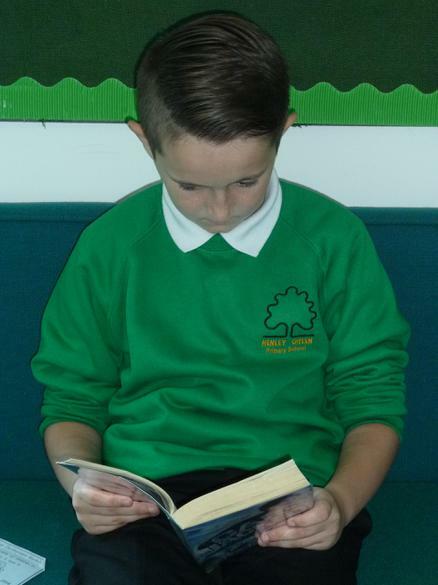 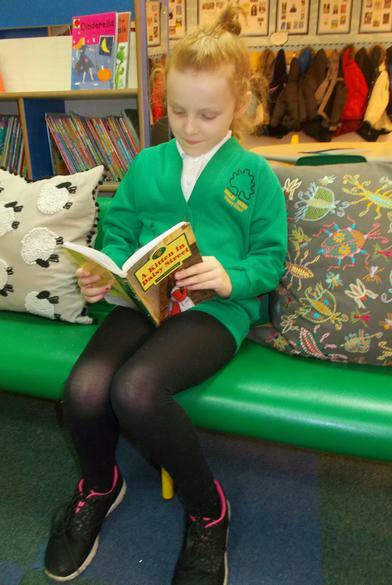 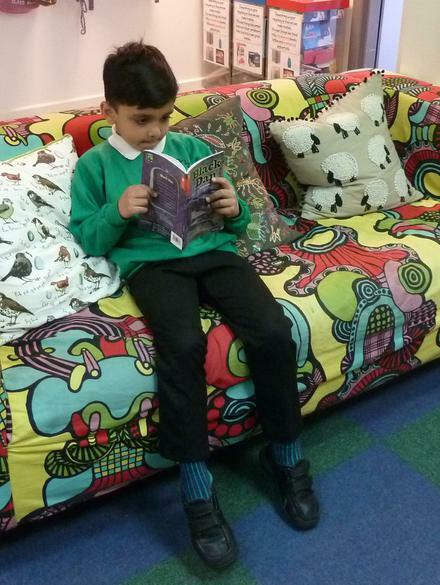 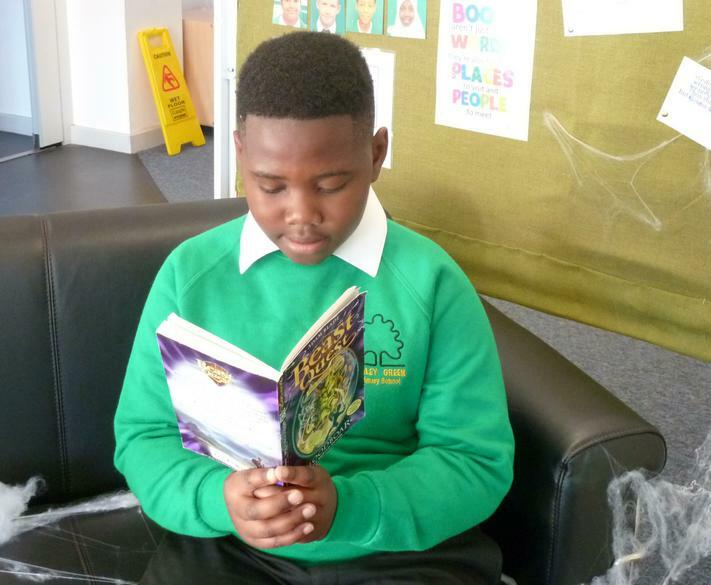 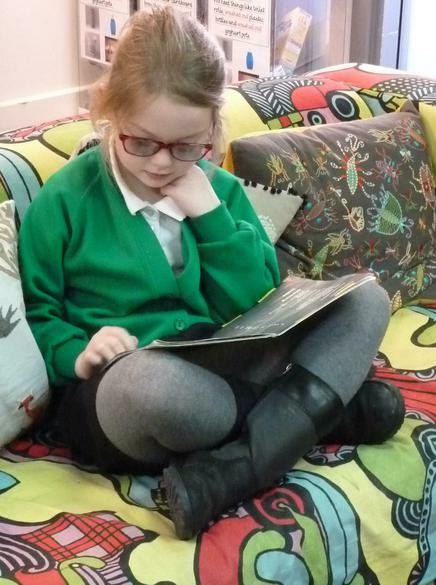 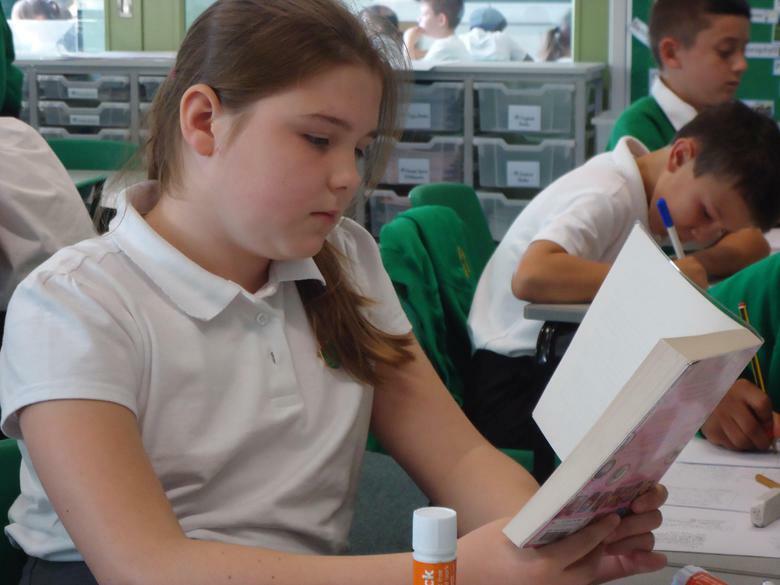 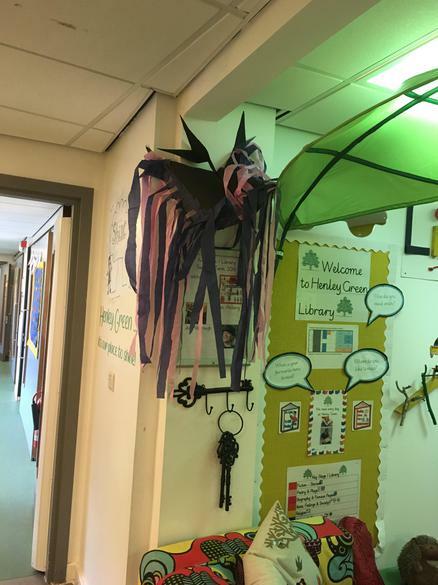 Reading is the key to all learning, so we are determined to make sure that every child reads every day at Henley Green, both at school and at home. 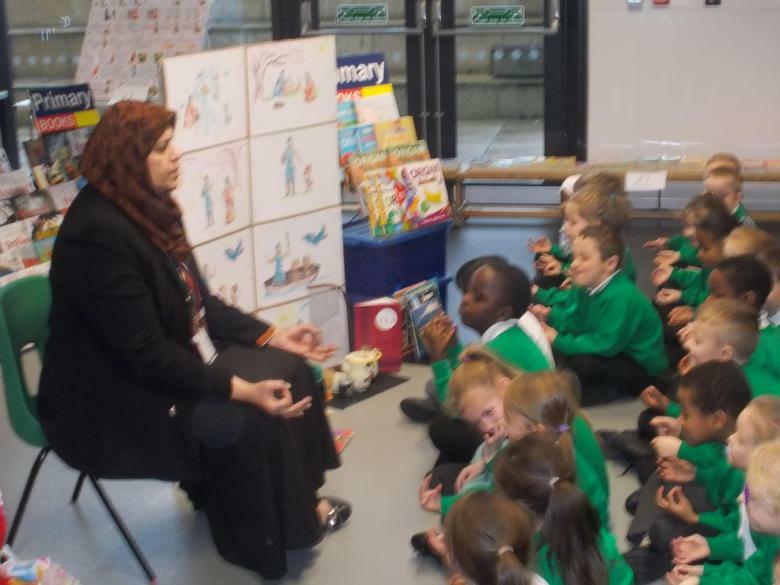 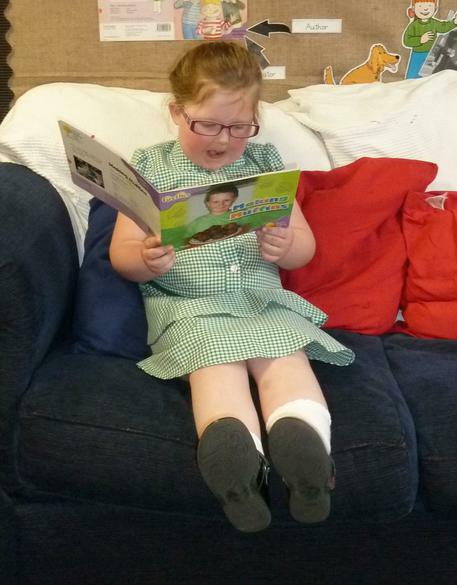 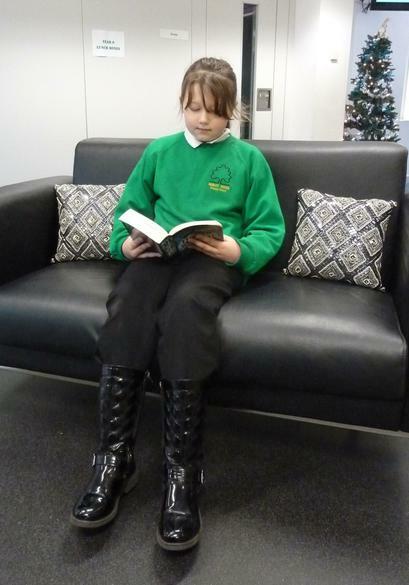 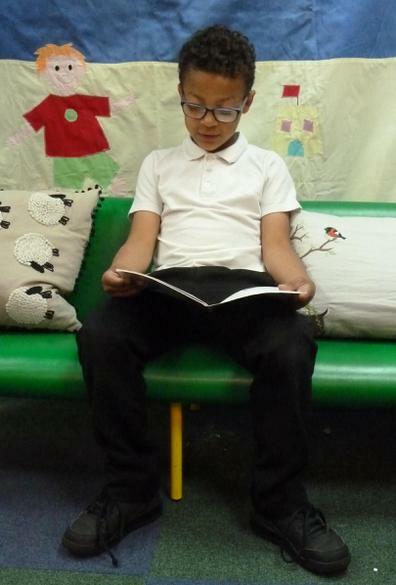 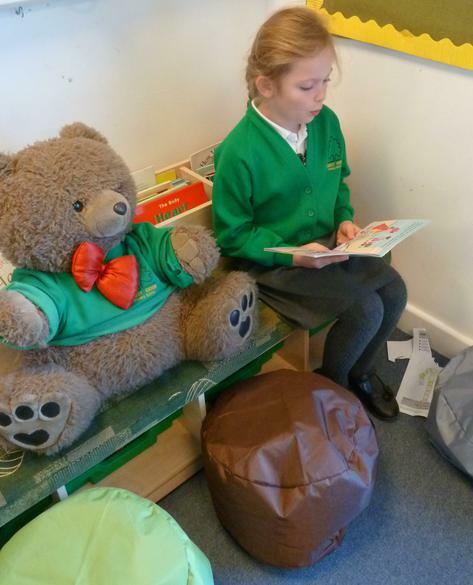 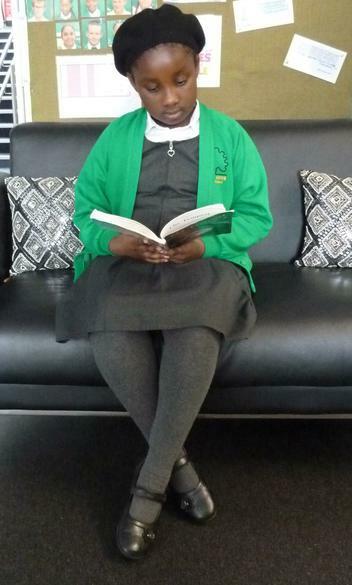 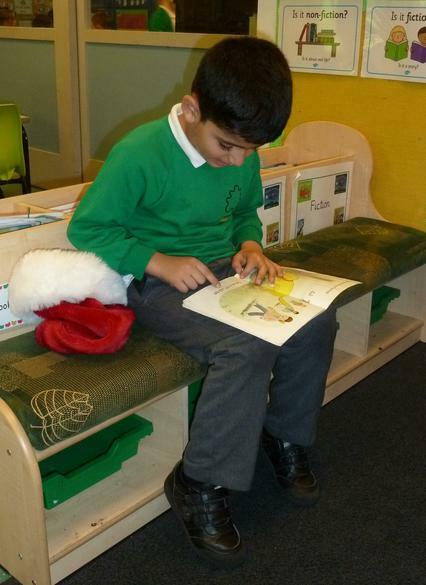 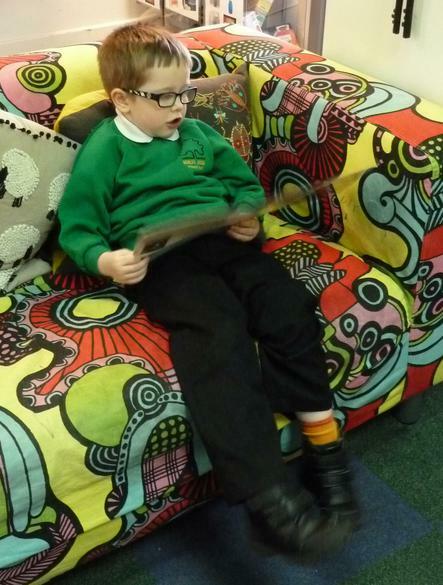 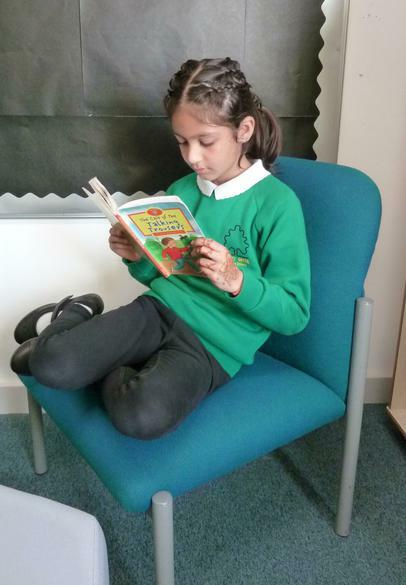 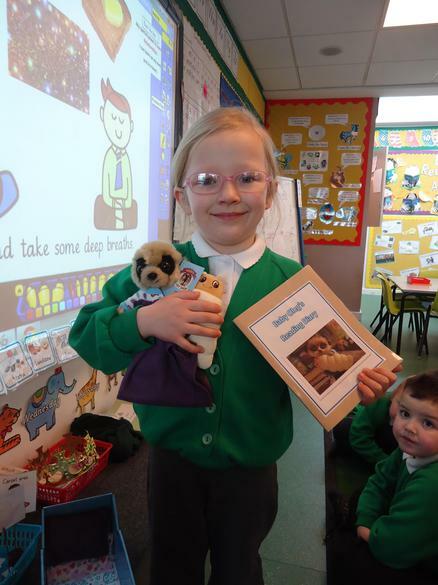 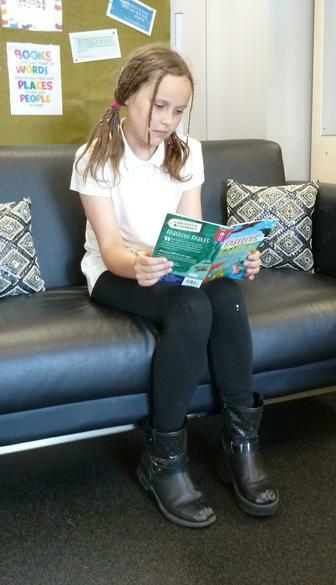 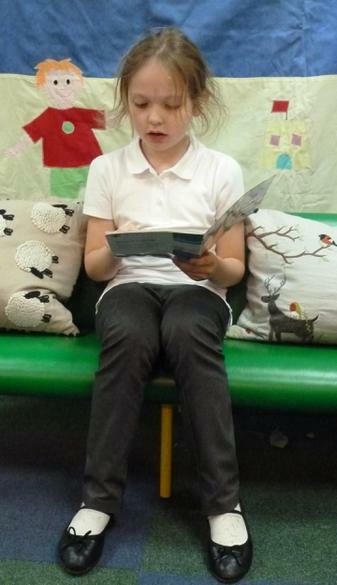 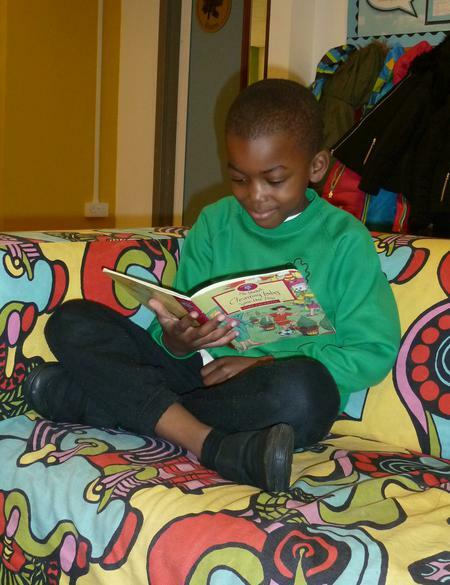 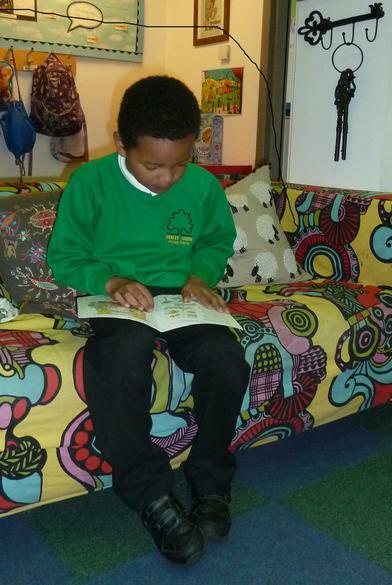 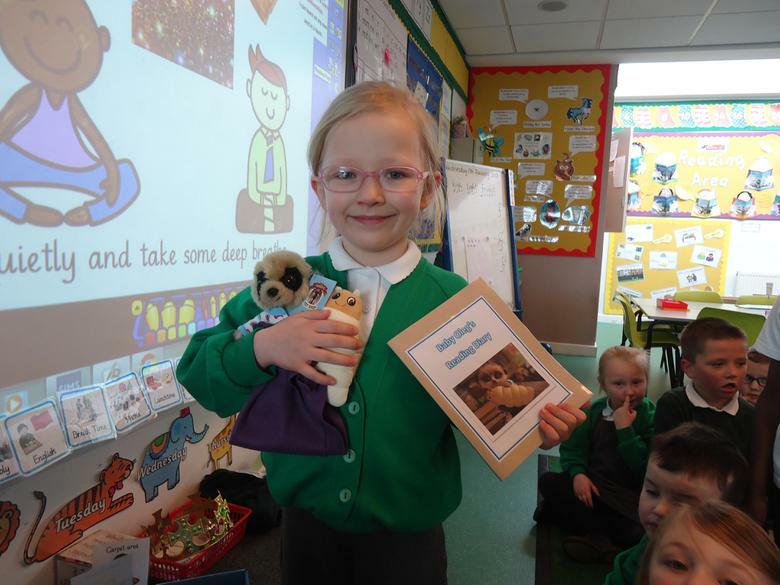 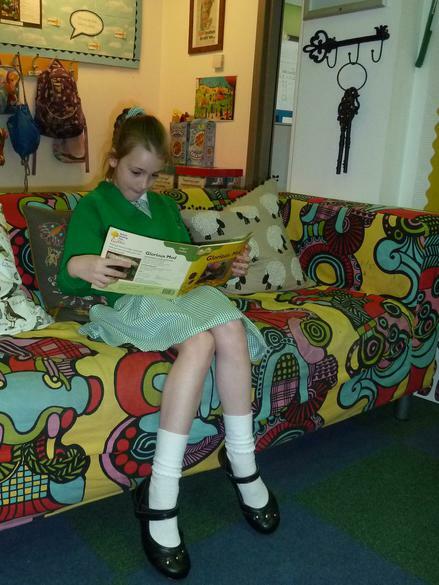 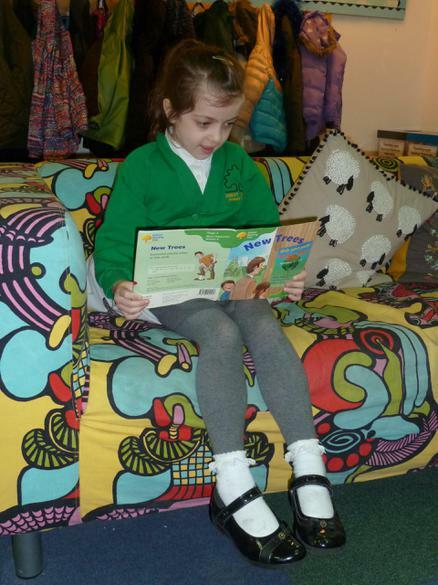 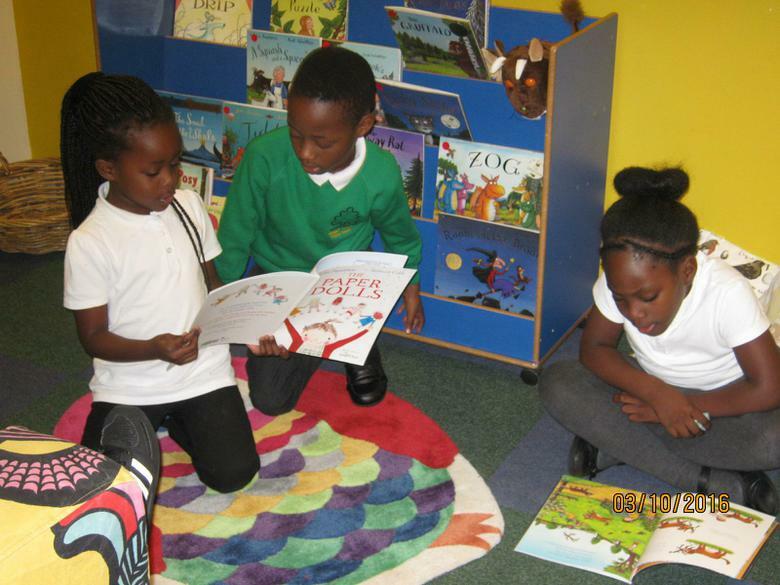 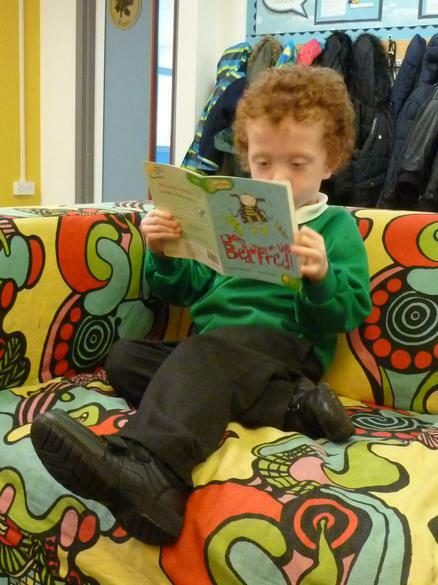 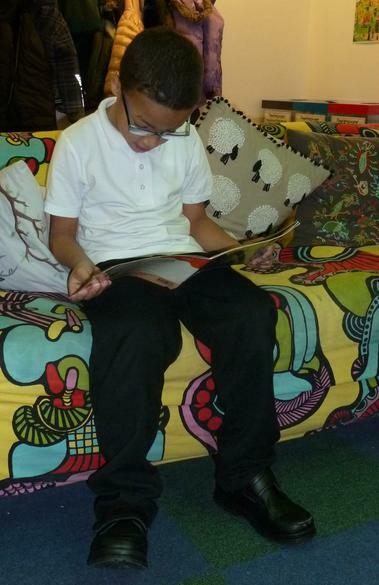 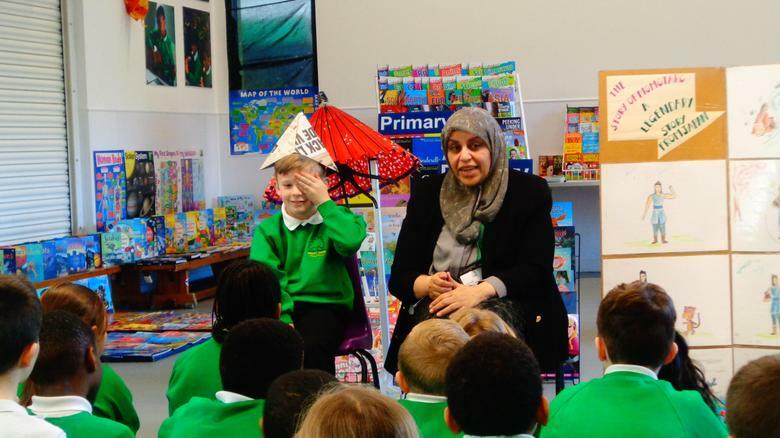 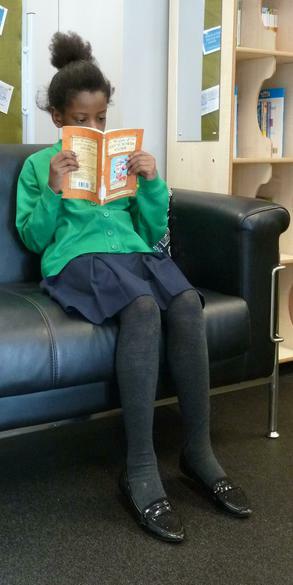 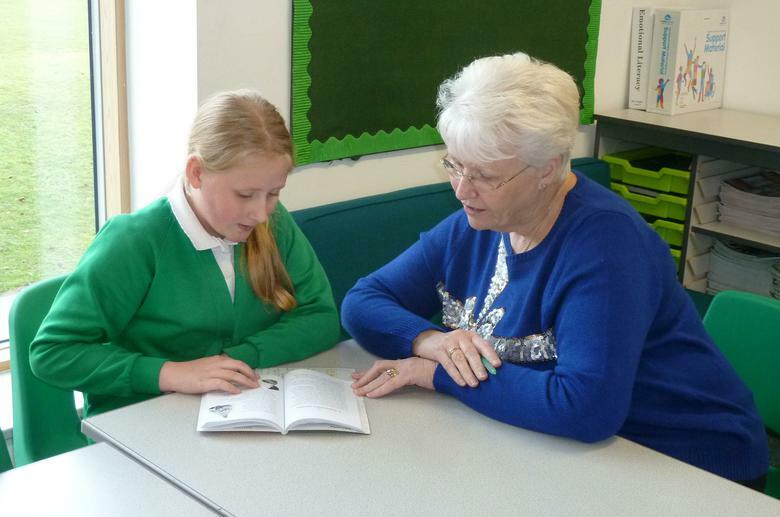 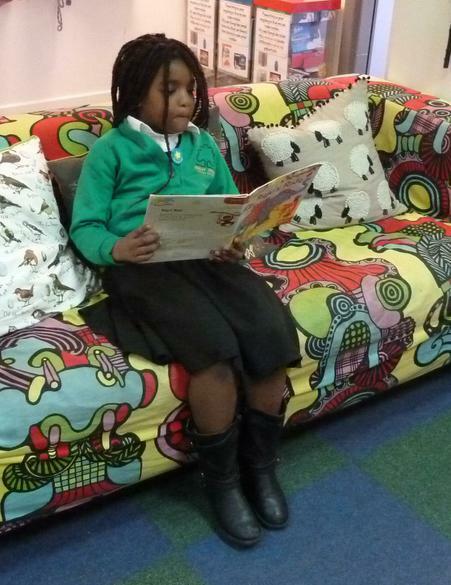 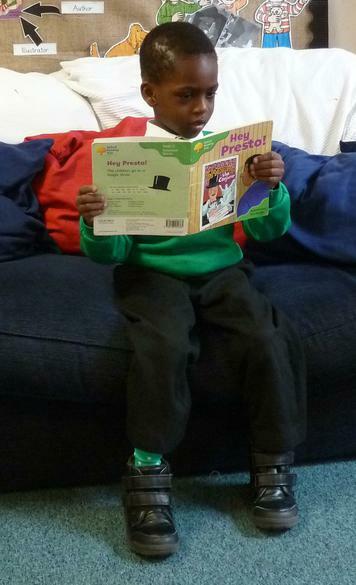 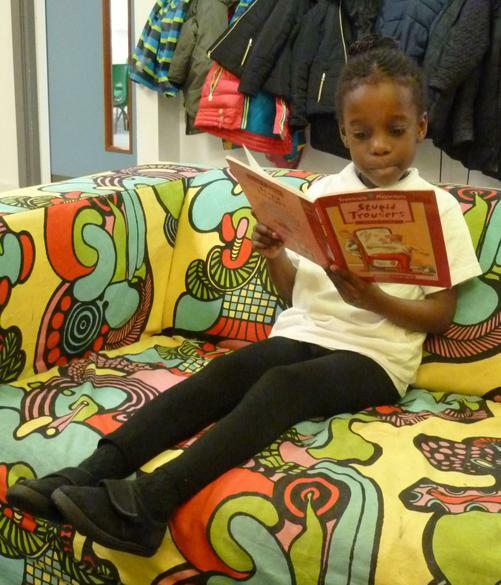 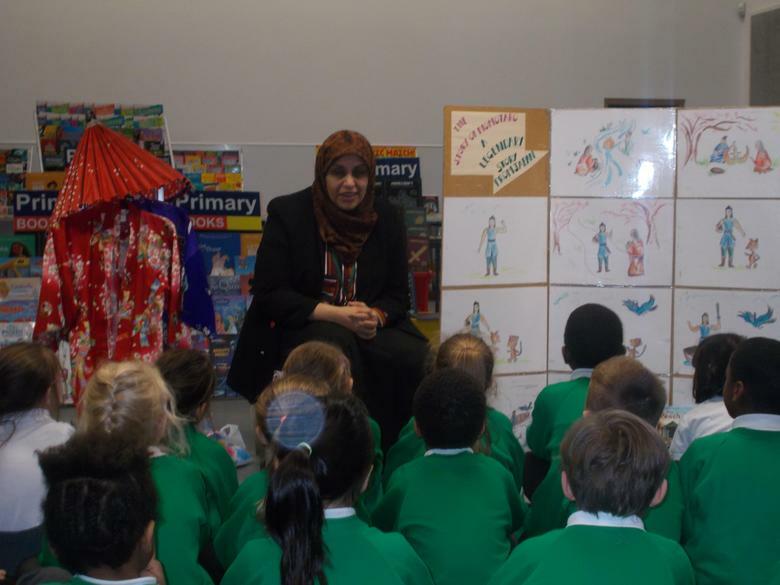 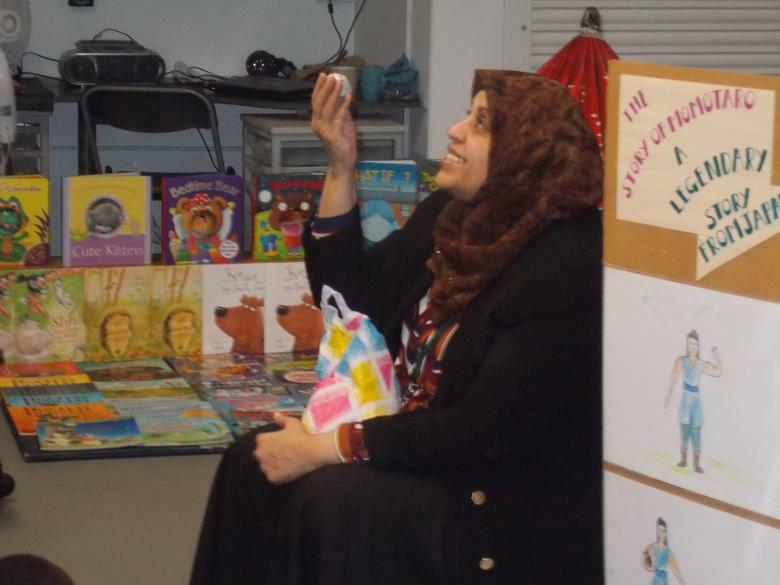 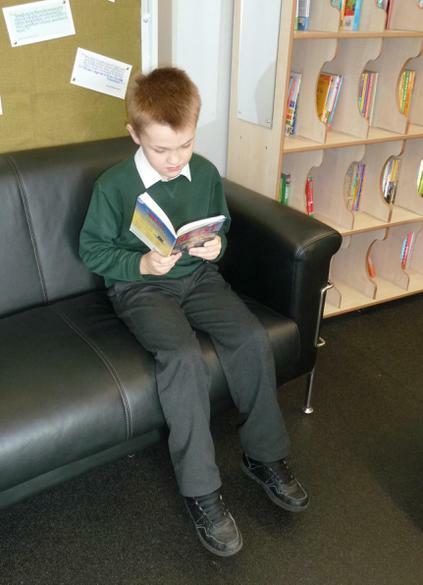 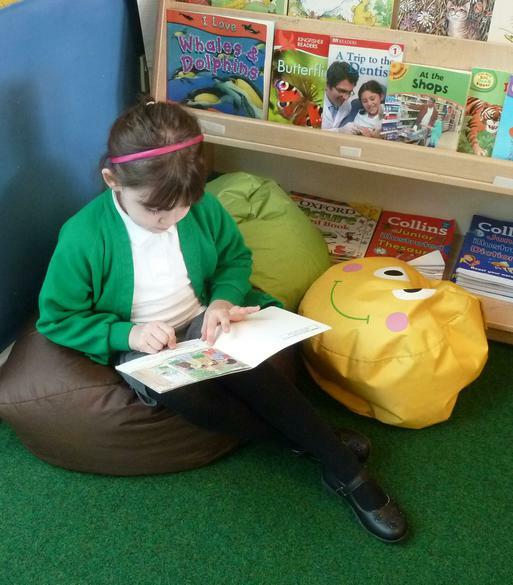 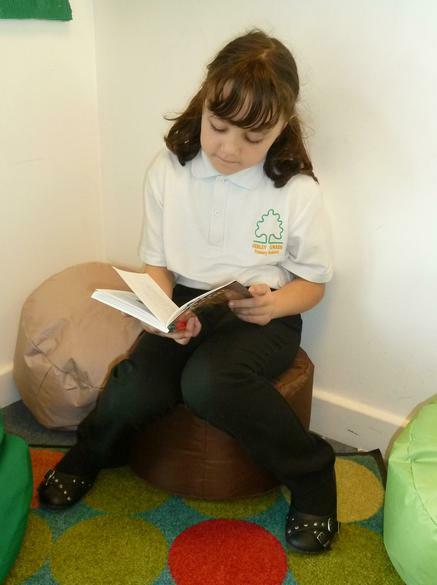 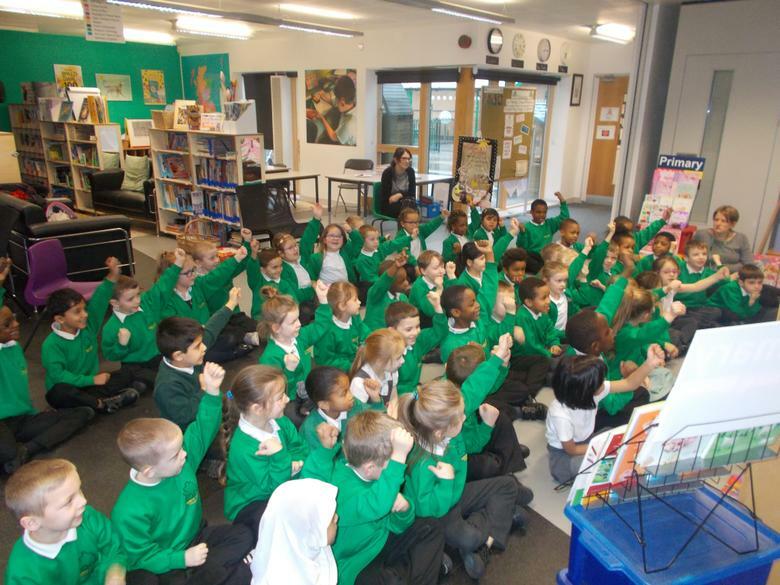 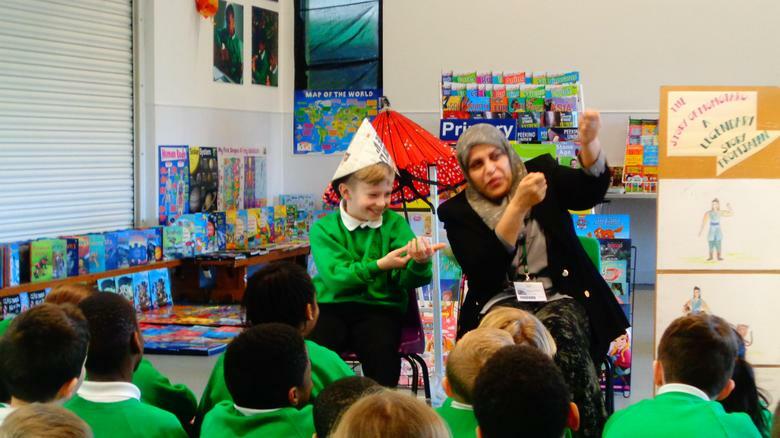 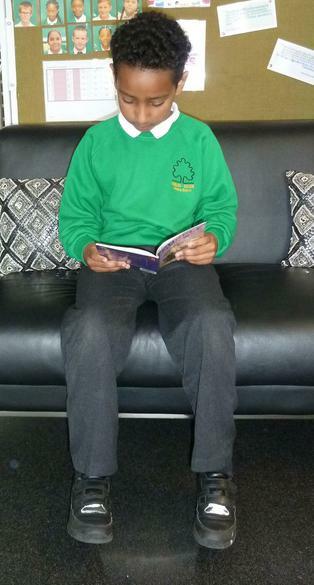 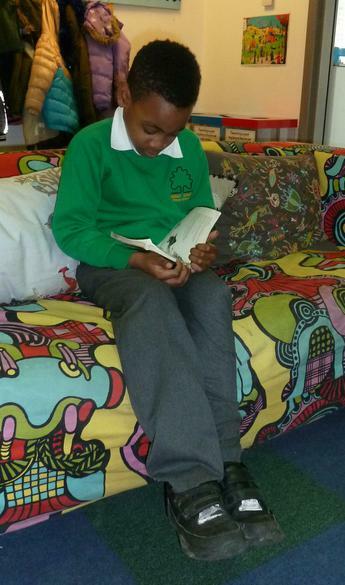 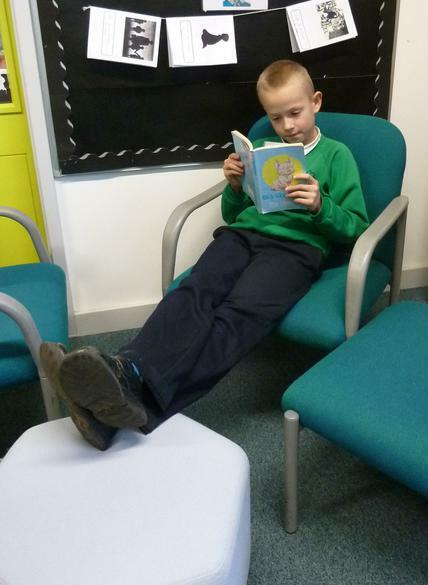 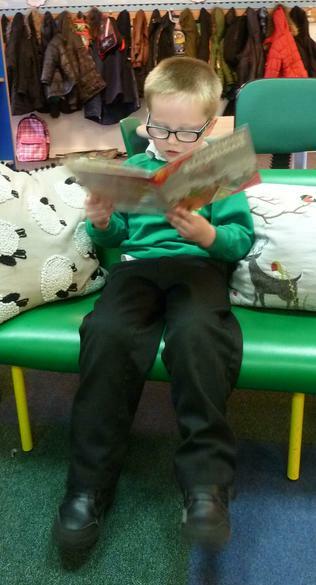 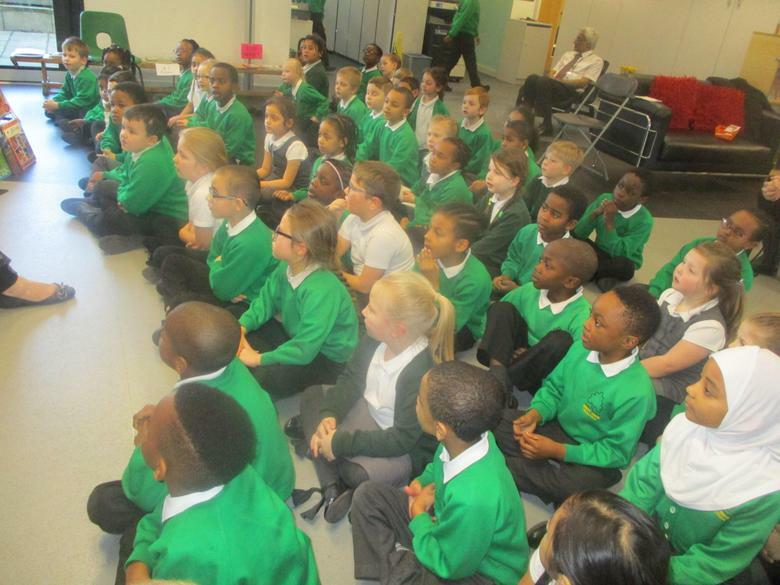 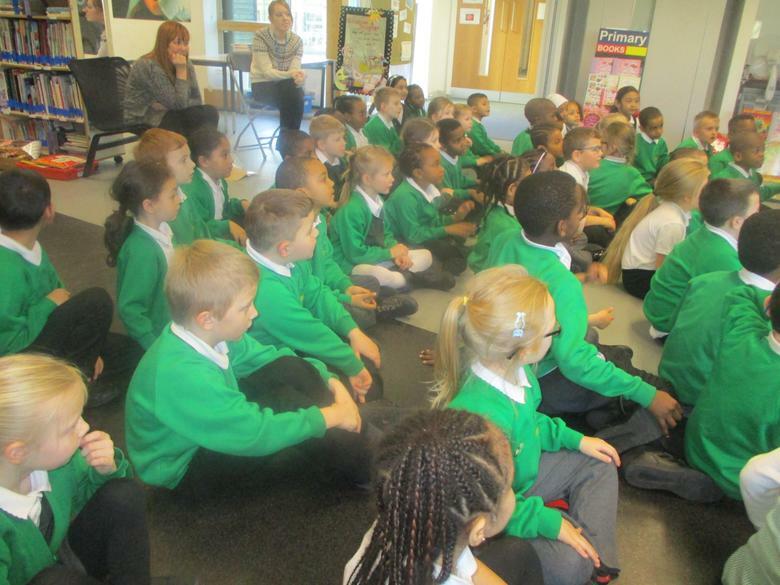 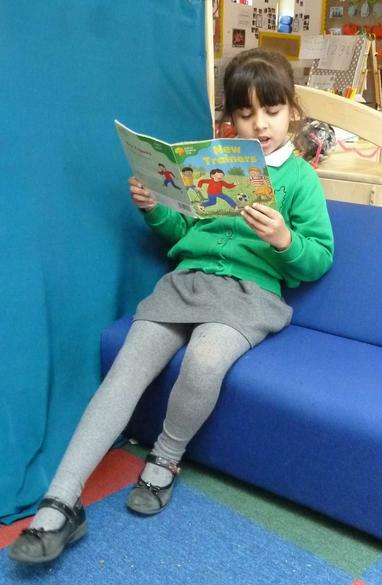 We expect every child at Henley Green Primary School to read every day at home. 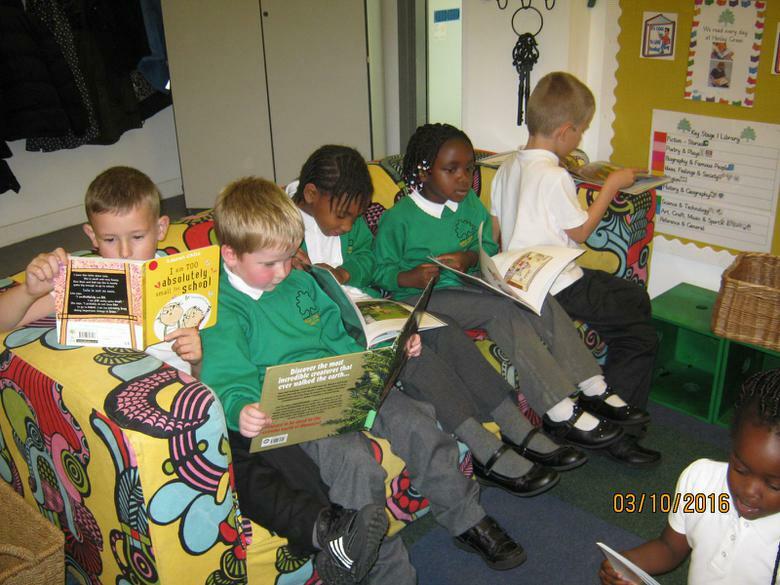 But reading at home is not just about children reading their school book, it's also about sharing stories. 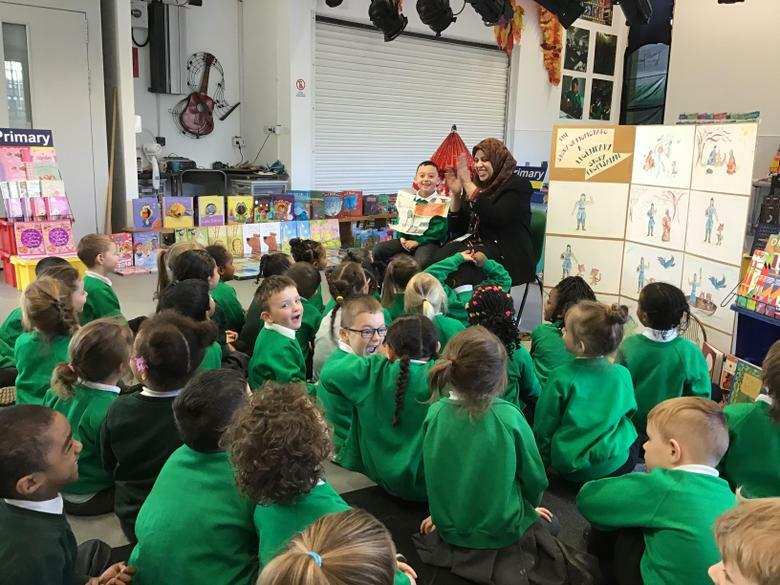 Children love listening to stories, especially snuggled up with someone they love, but there are also a number of child-friendly apps which allow children to hear and interact with stories on their own. 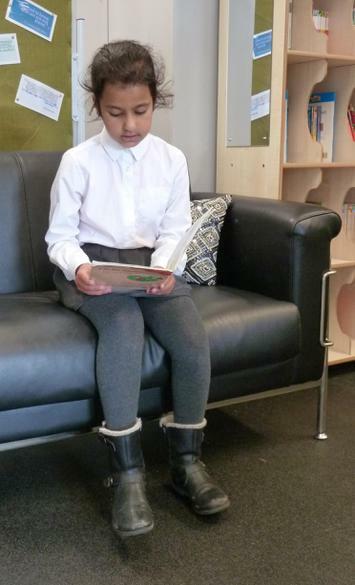 To find some of these apps, please go to http://topbestappsforkids.com/best-story-book-apps-for-kids/ which is full of good ideas. 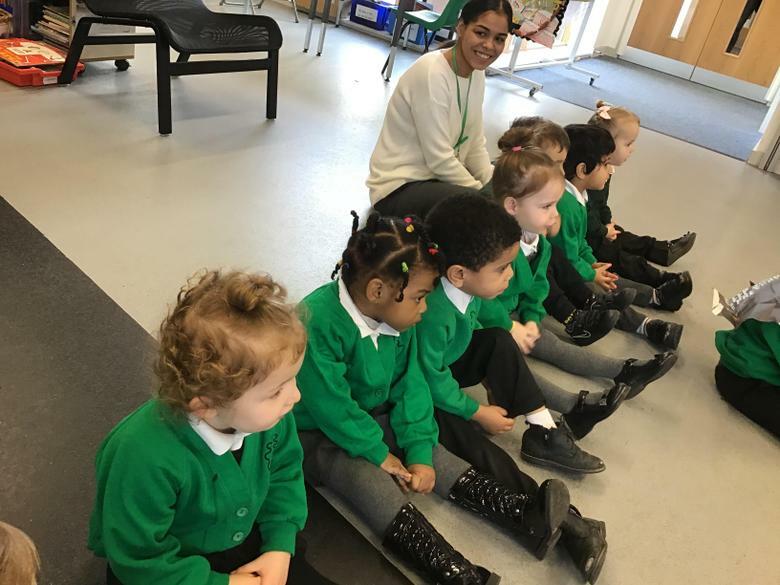 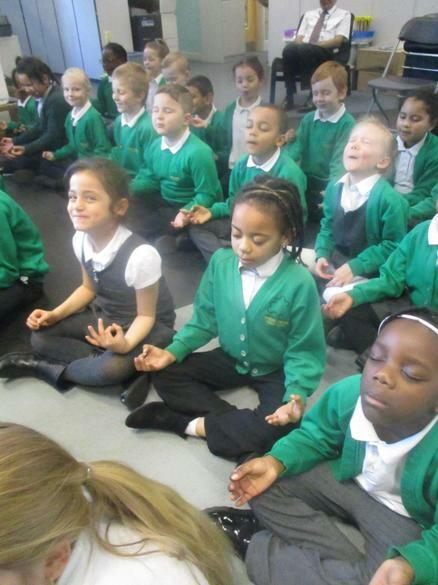 Are you in Year 1 or Year 2? 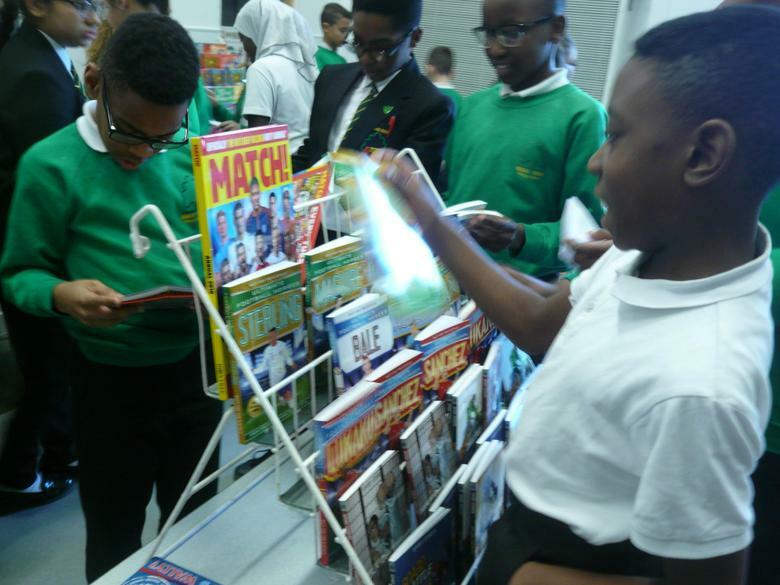 Click this link to find lots of games. 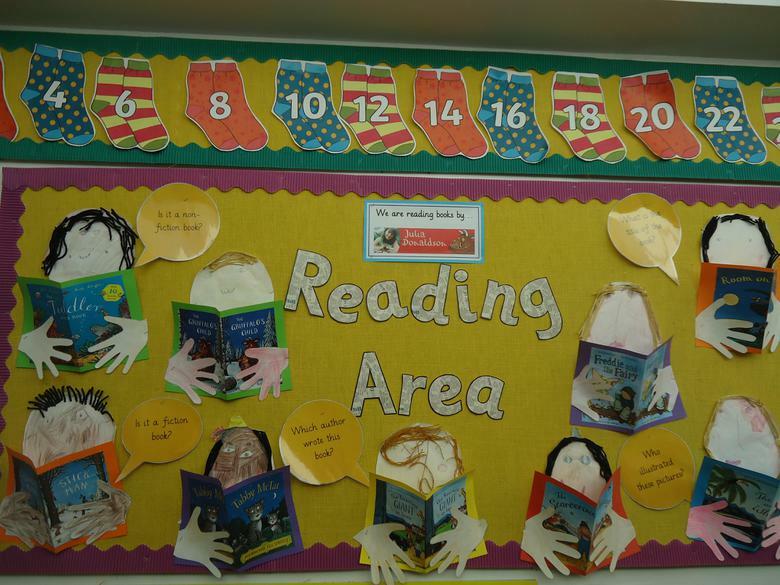 Years 3, 4, 5 and 6 click on this link for games and ideas that will help you practise reading, writing, spelling and grammar. 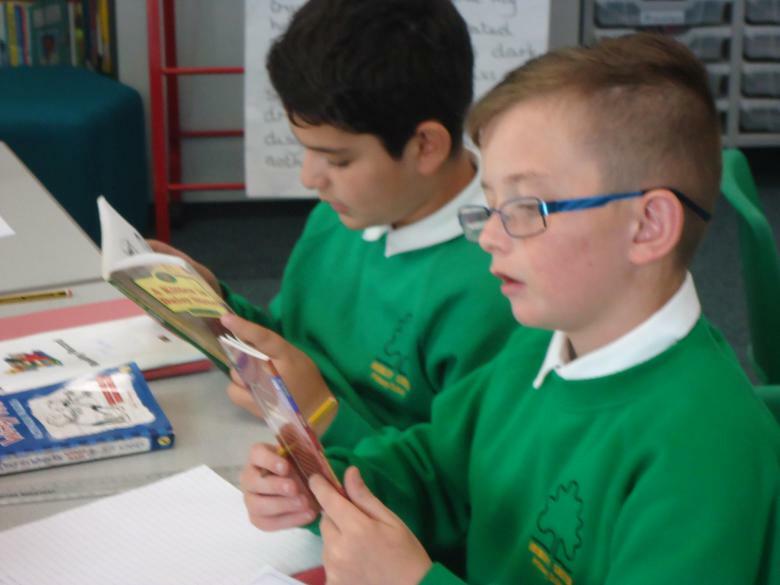 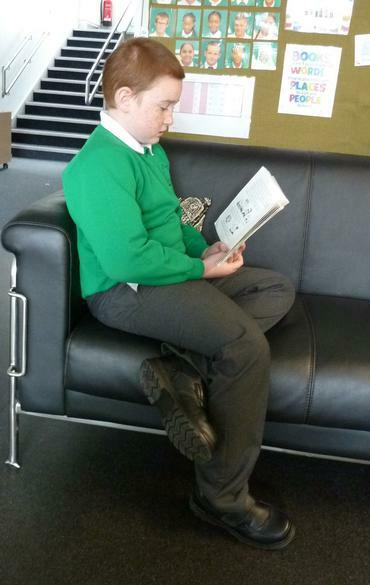 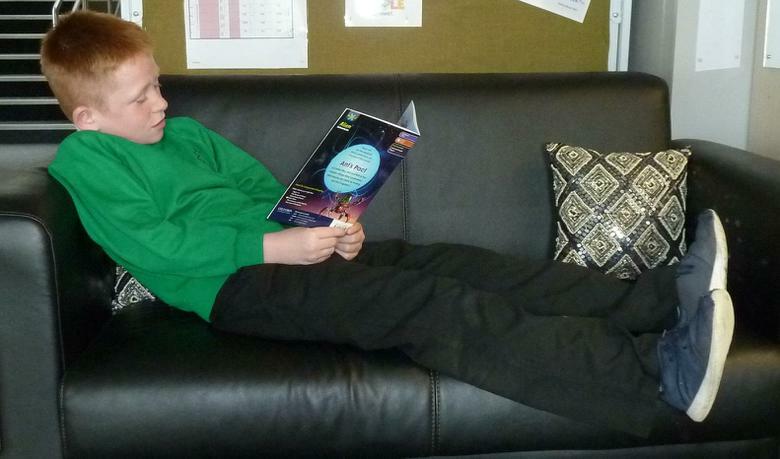 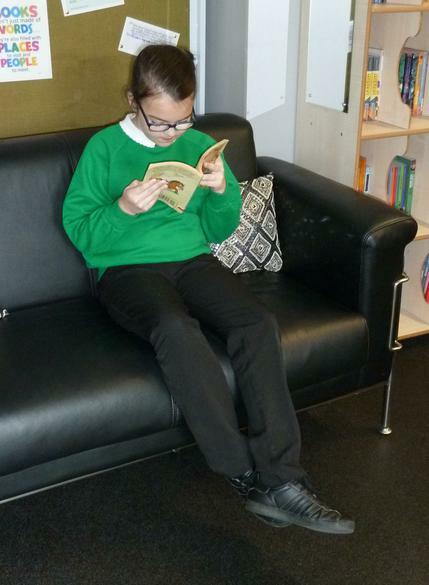 We read every day in Year 6. 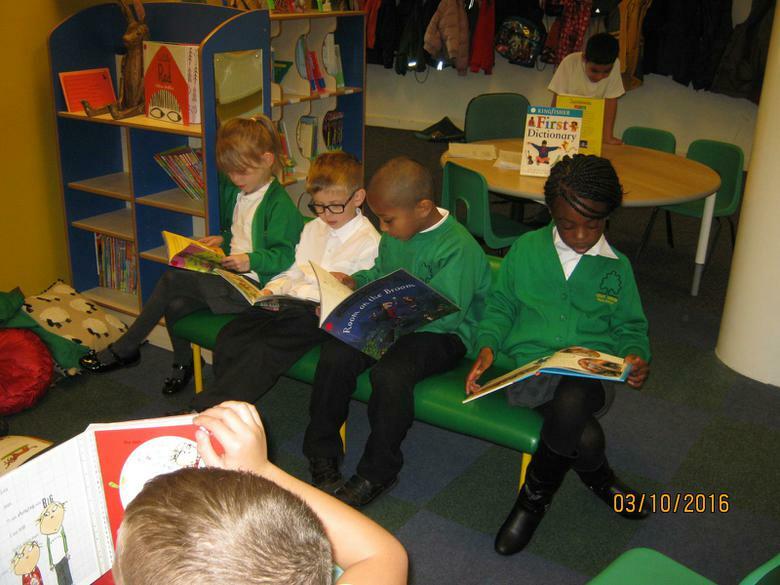 We enjoy reading books from the library.